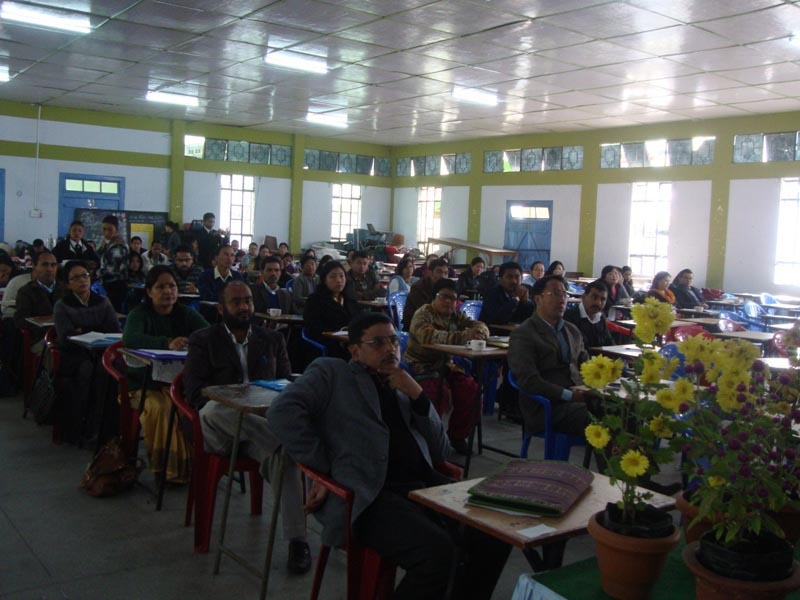 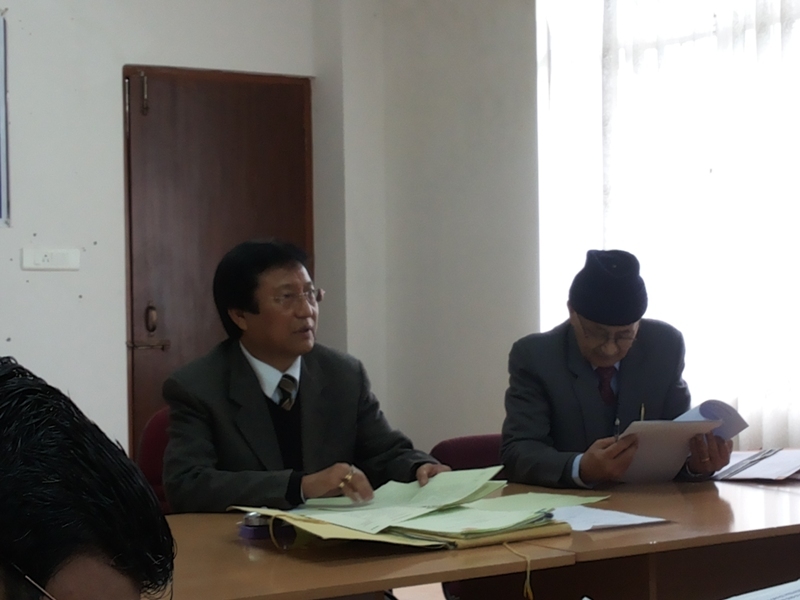 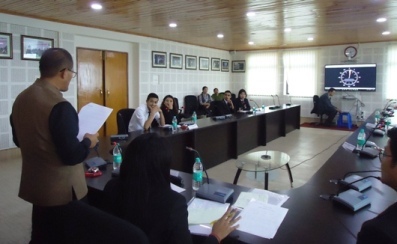 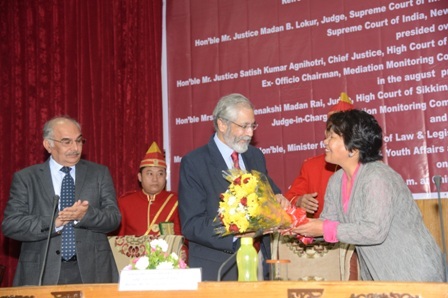 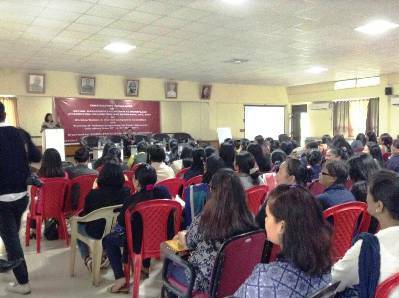 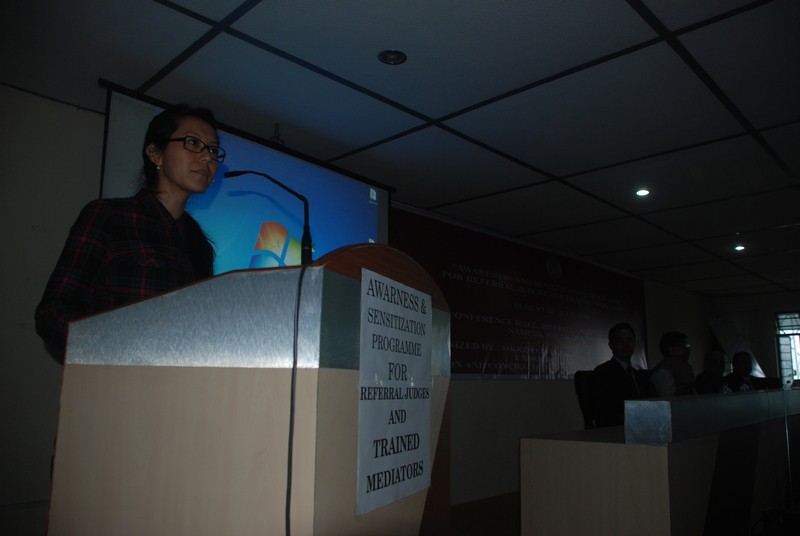 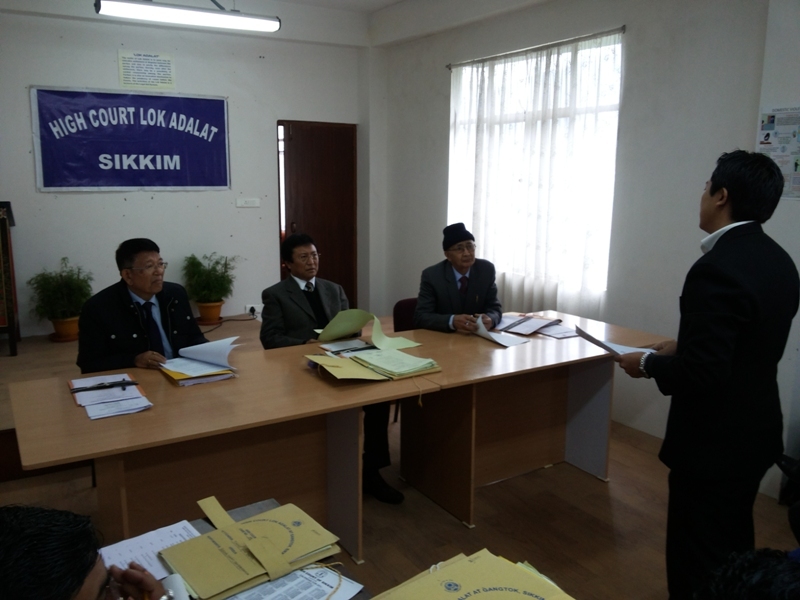 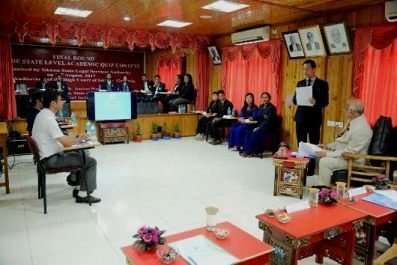 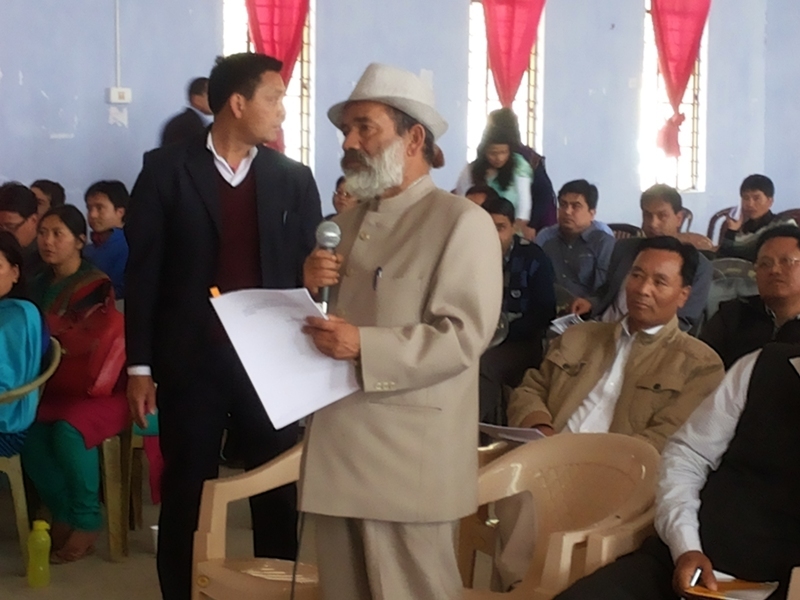 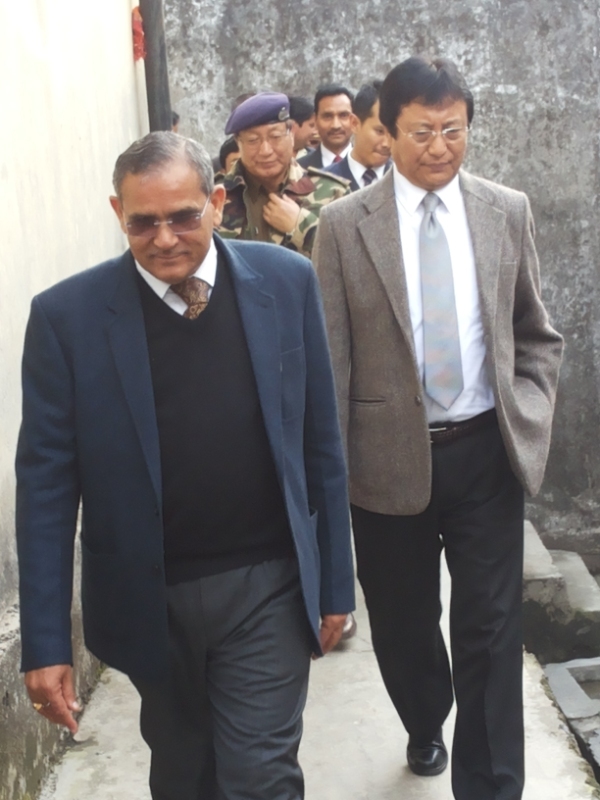 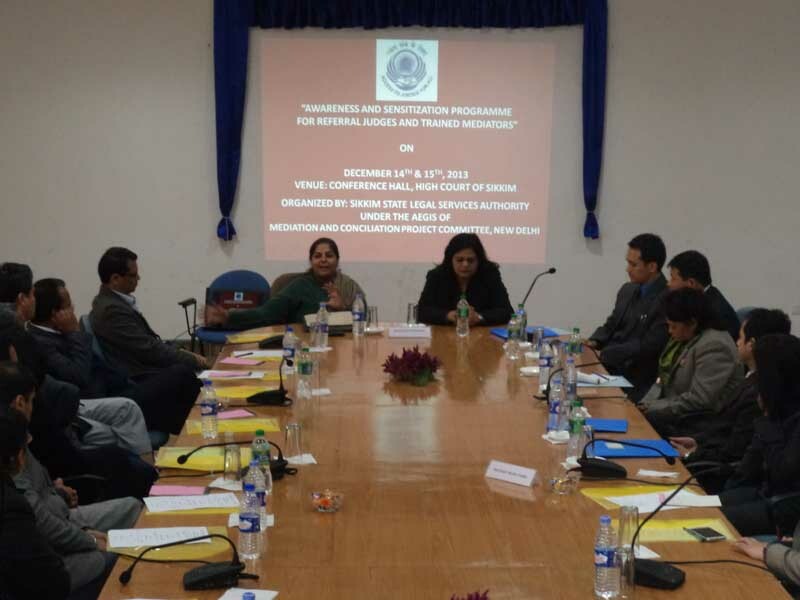 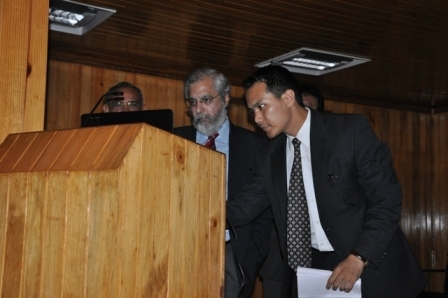 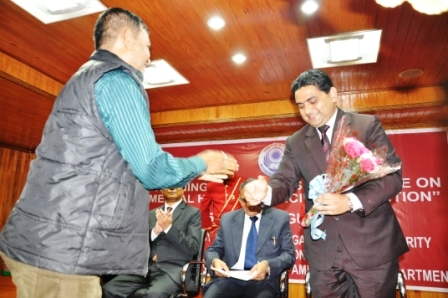 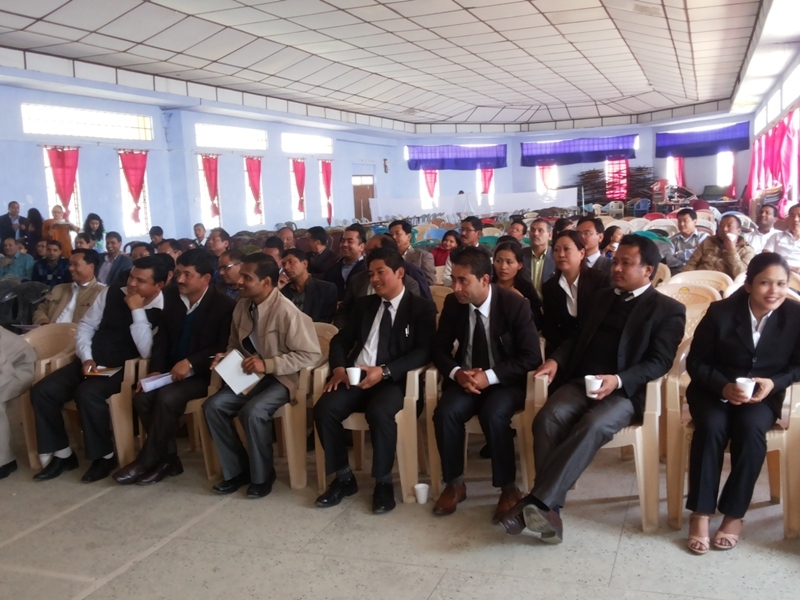 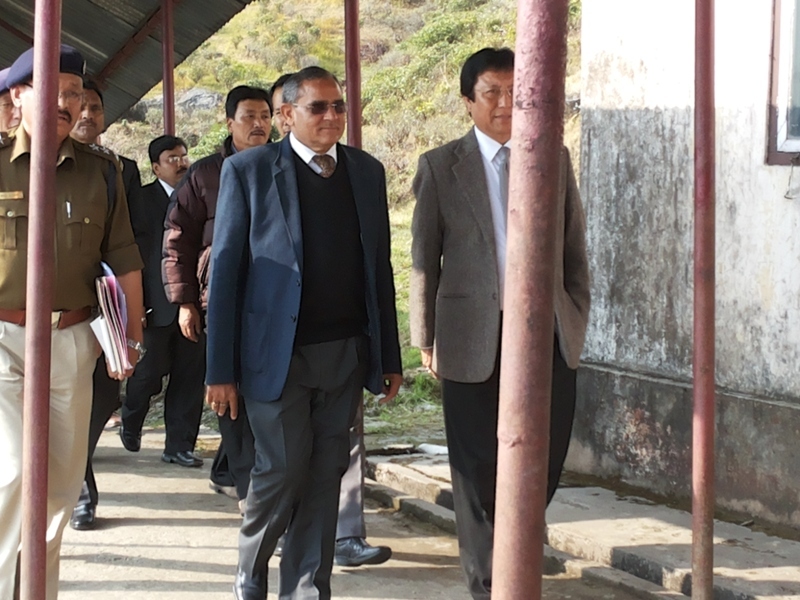 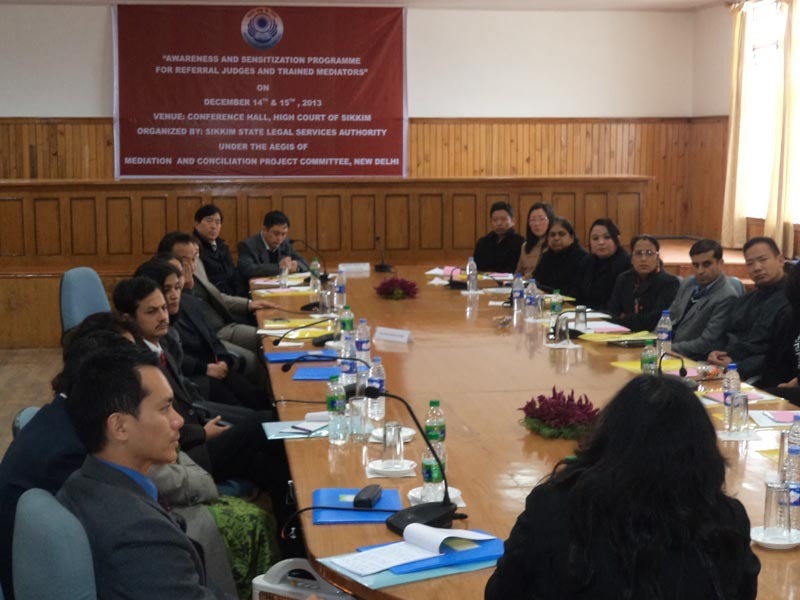 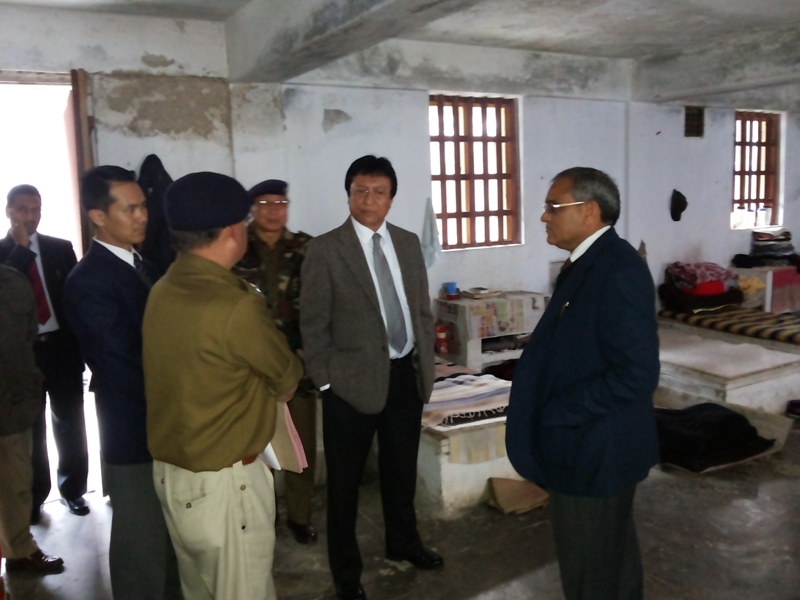 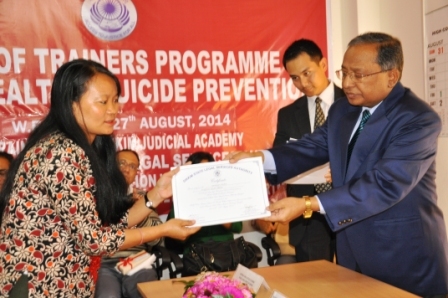 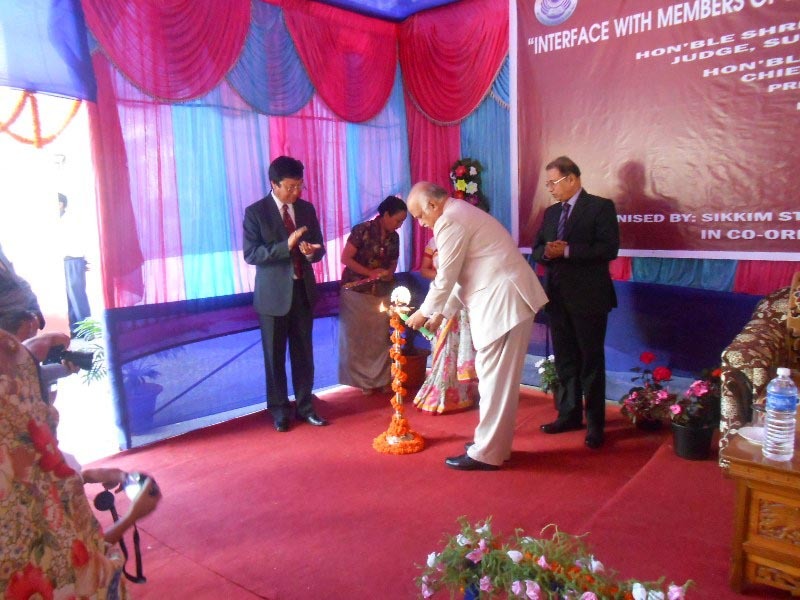 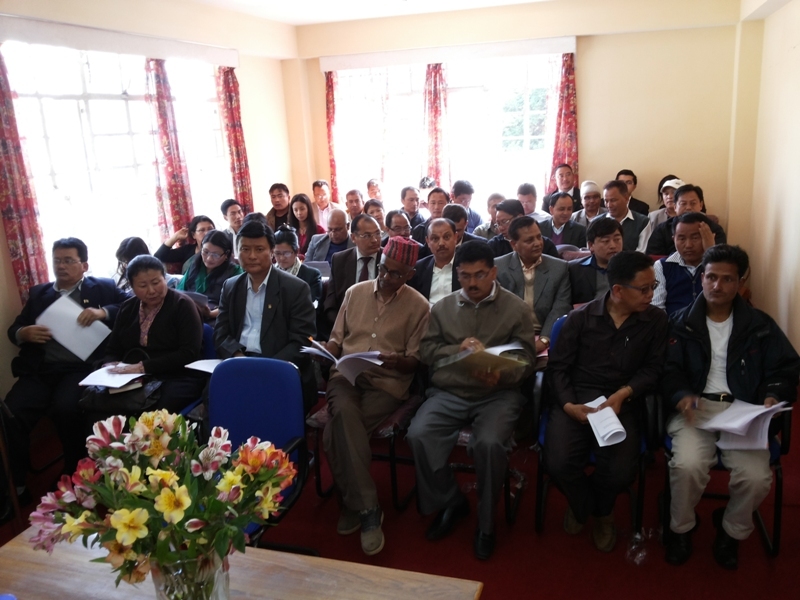 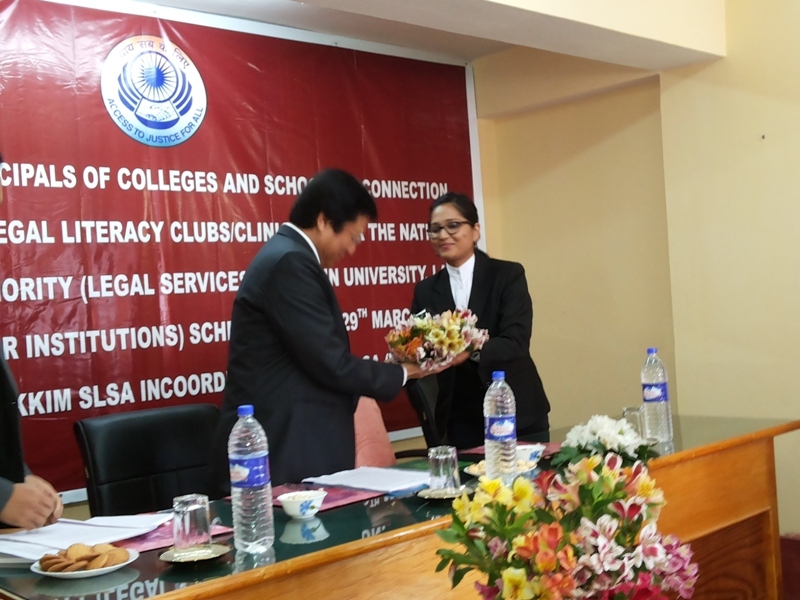 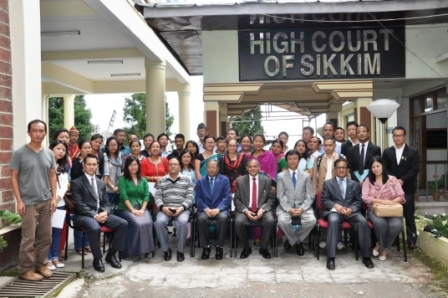 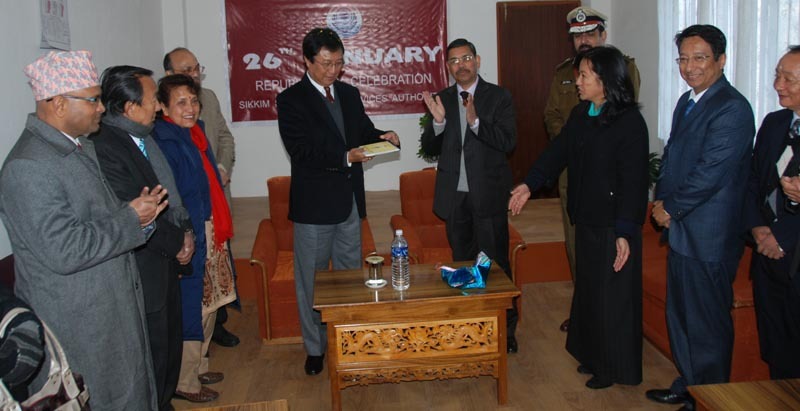 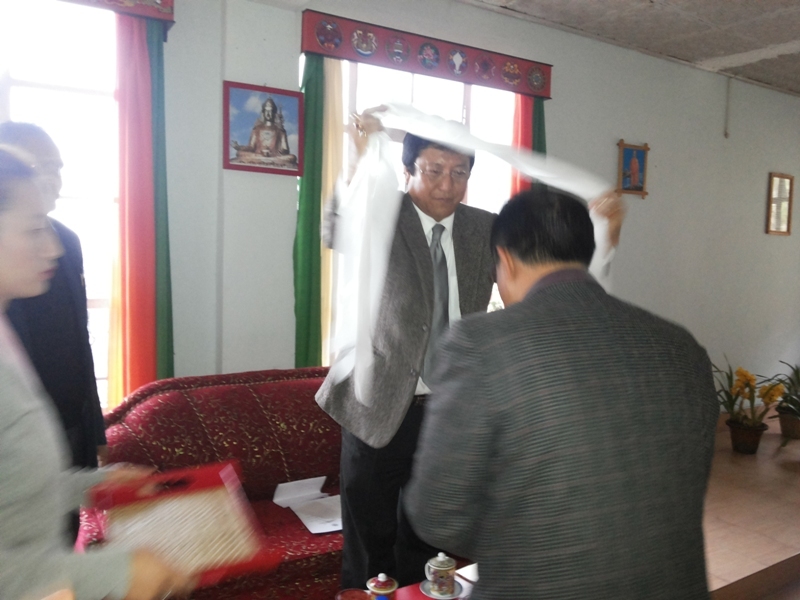 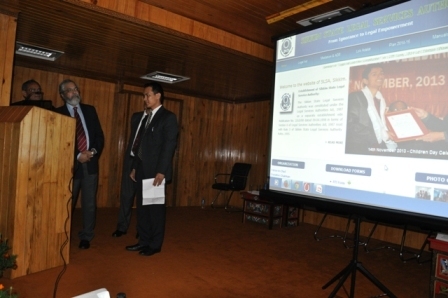 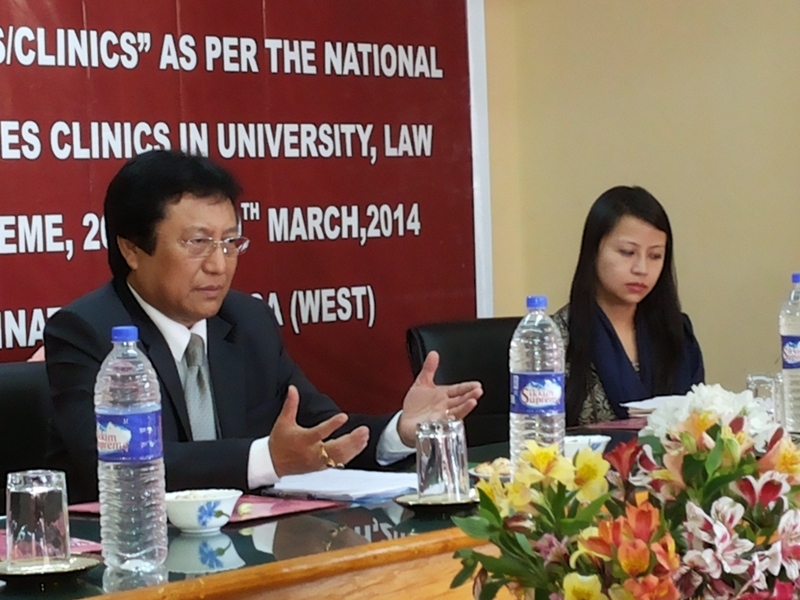 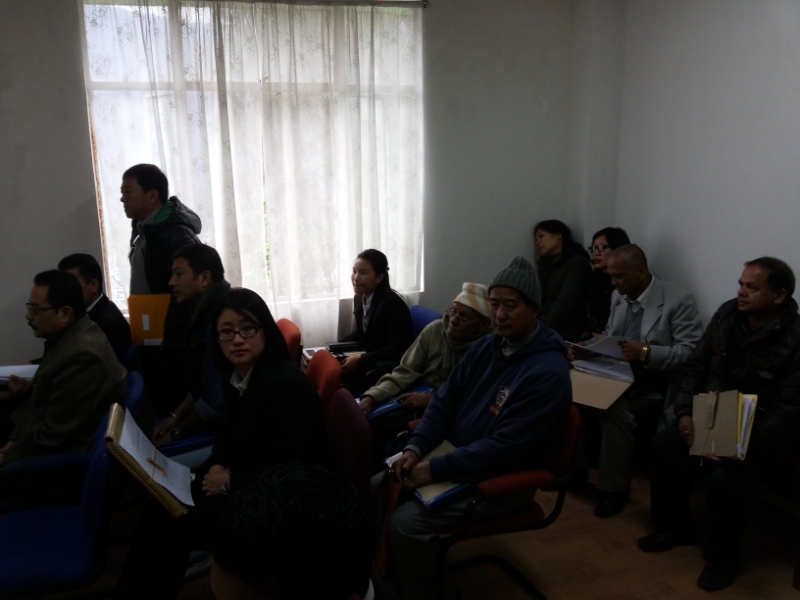 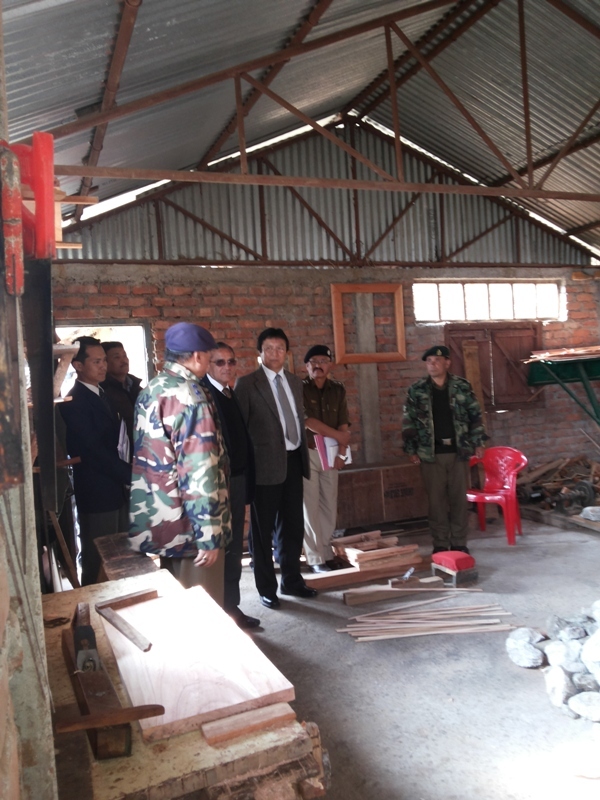 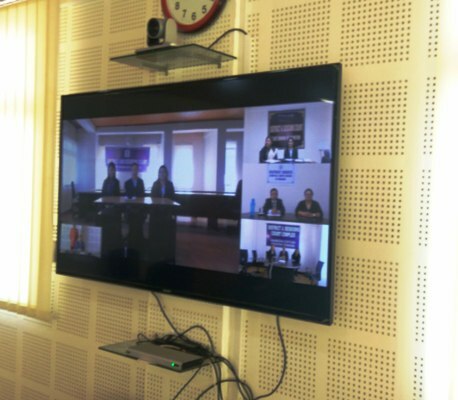 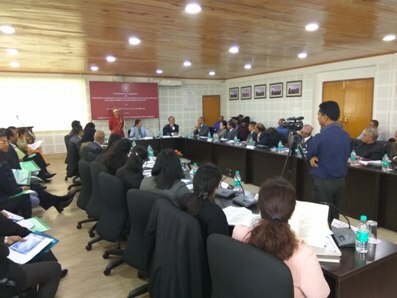 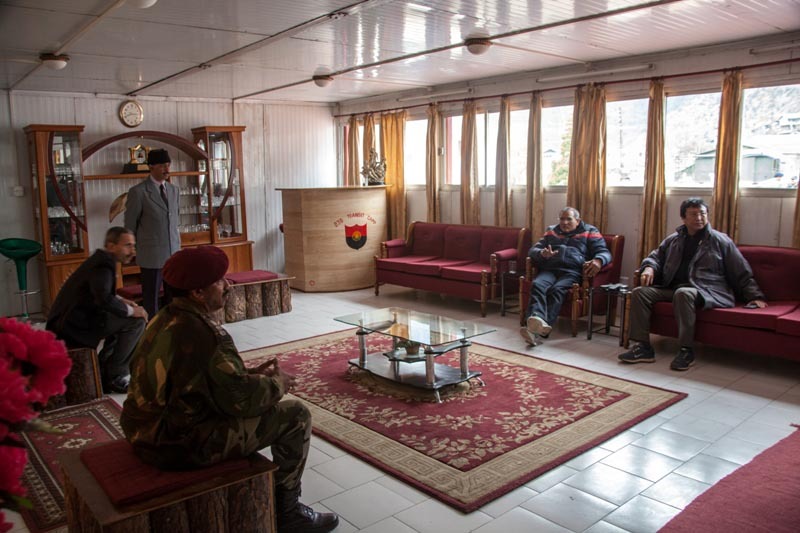 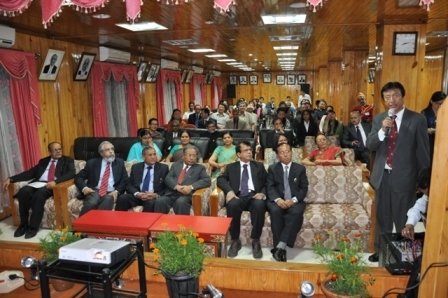 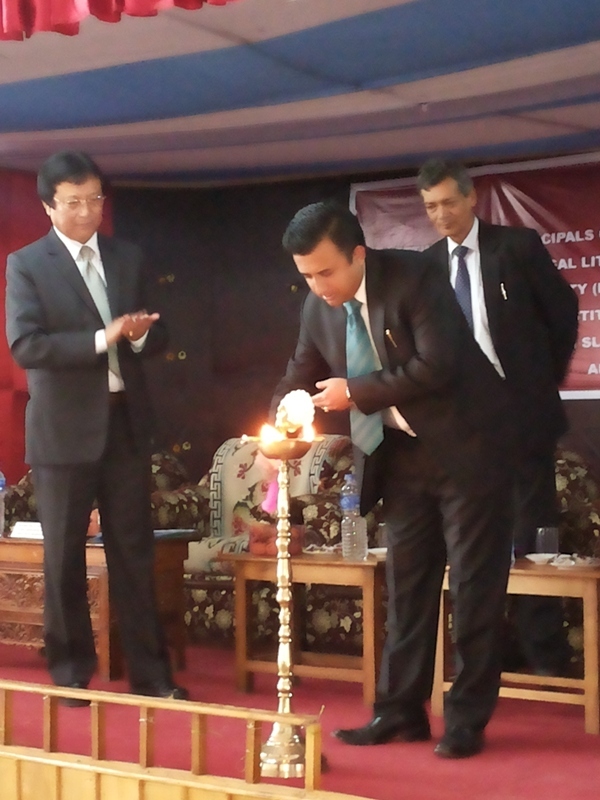 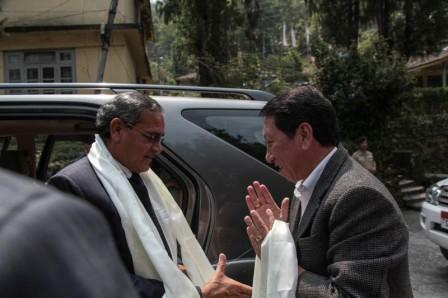 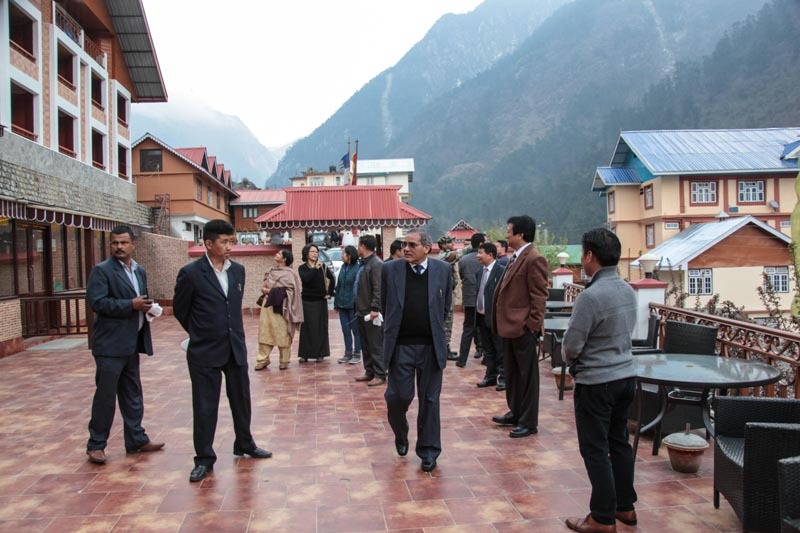 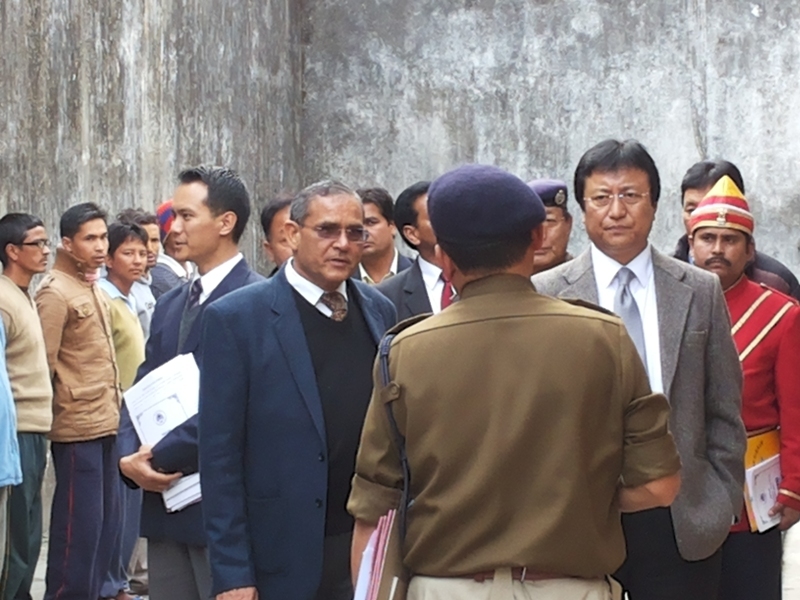 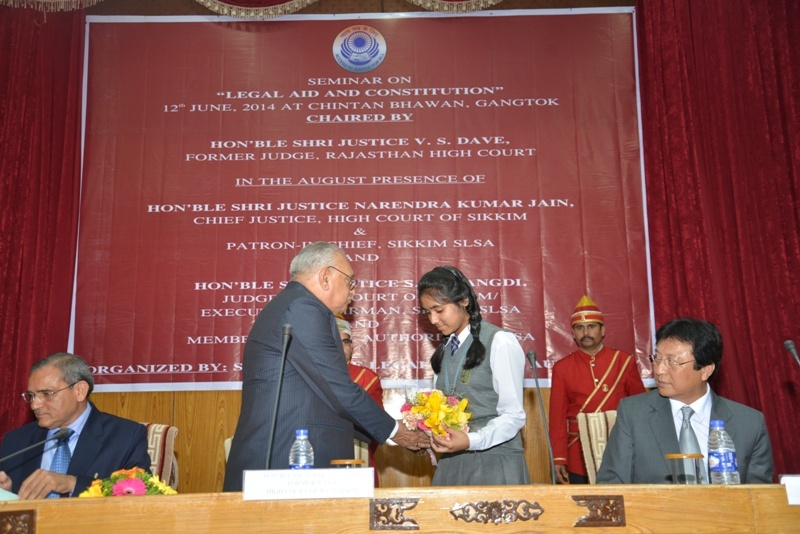 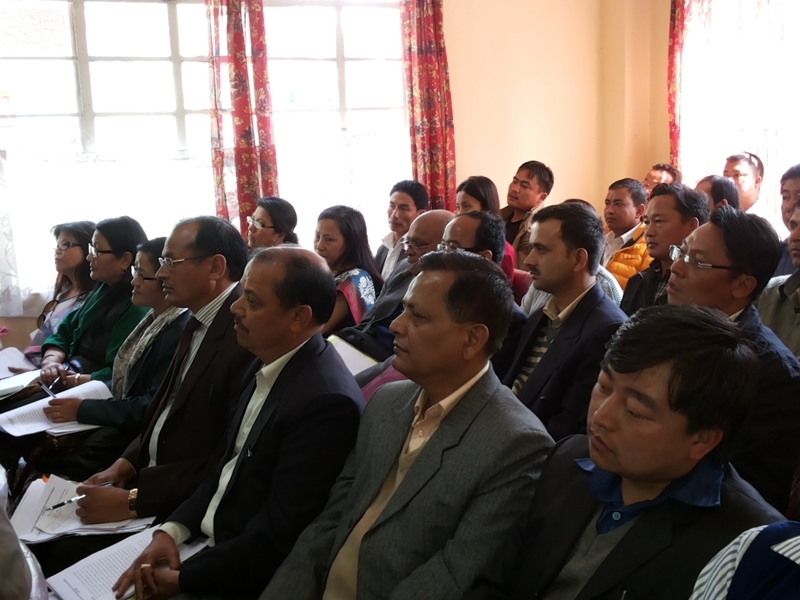 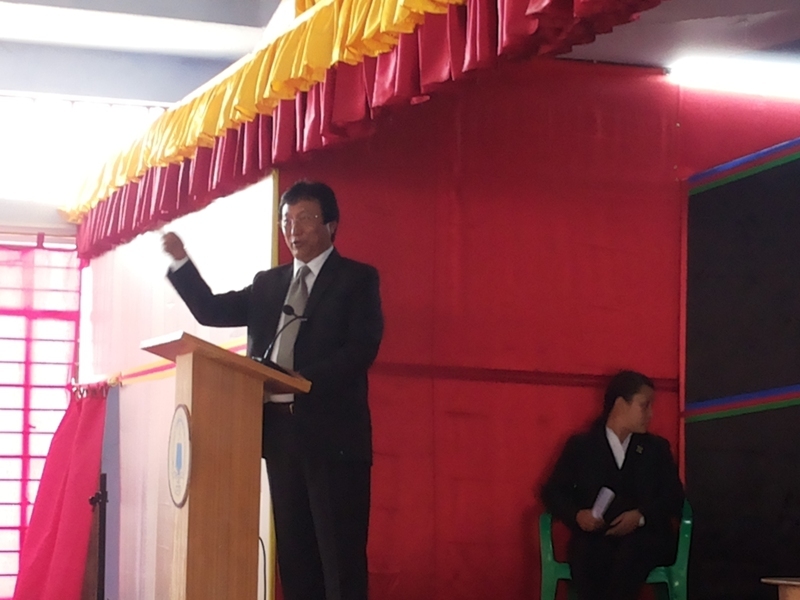 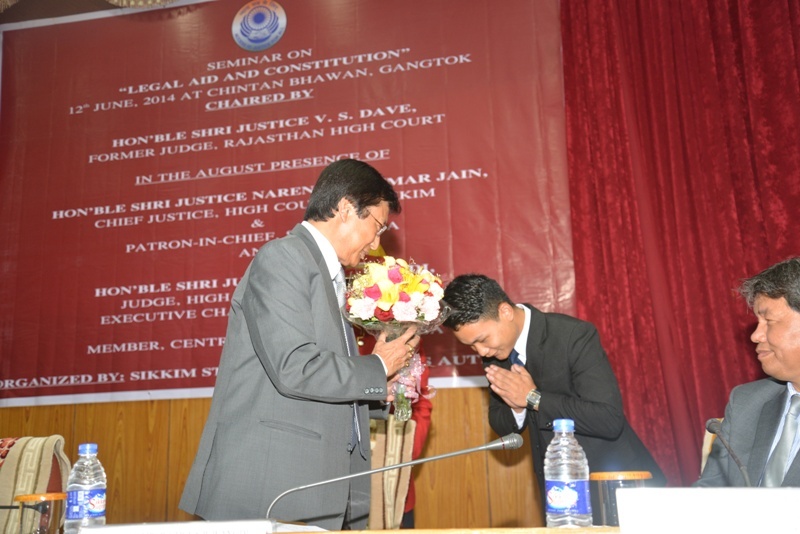 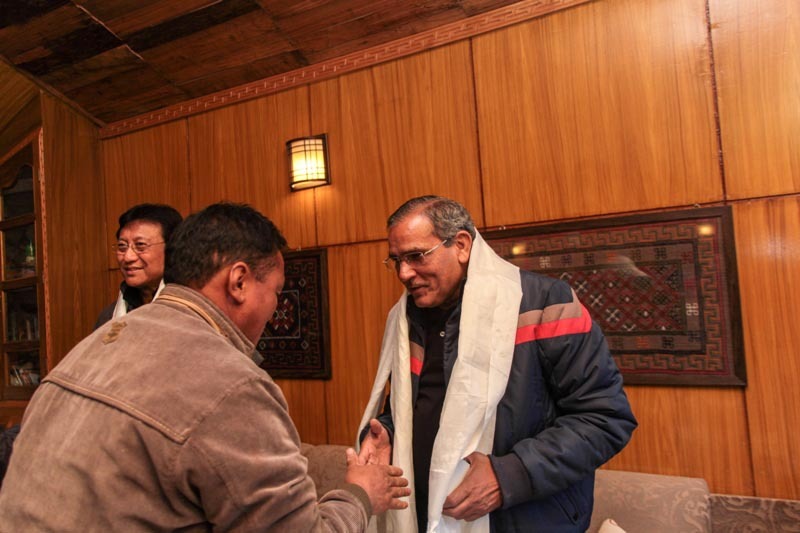 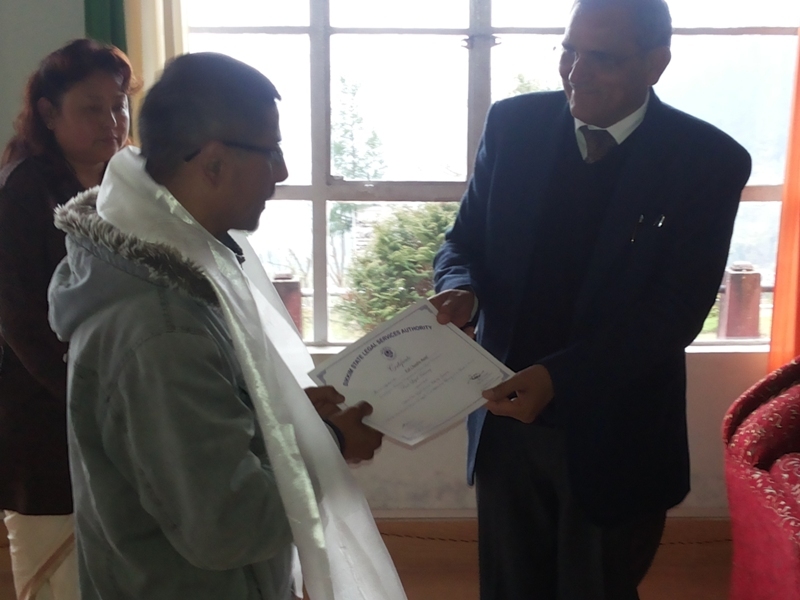 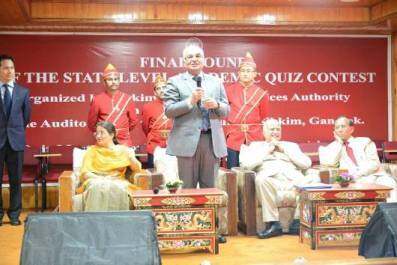 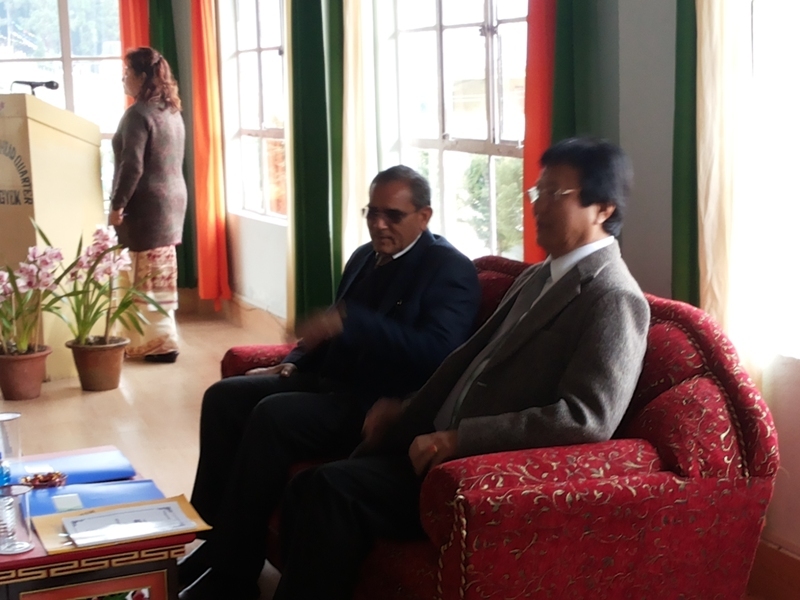 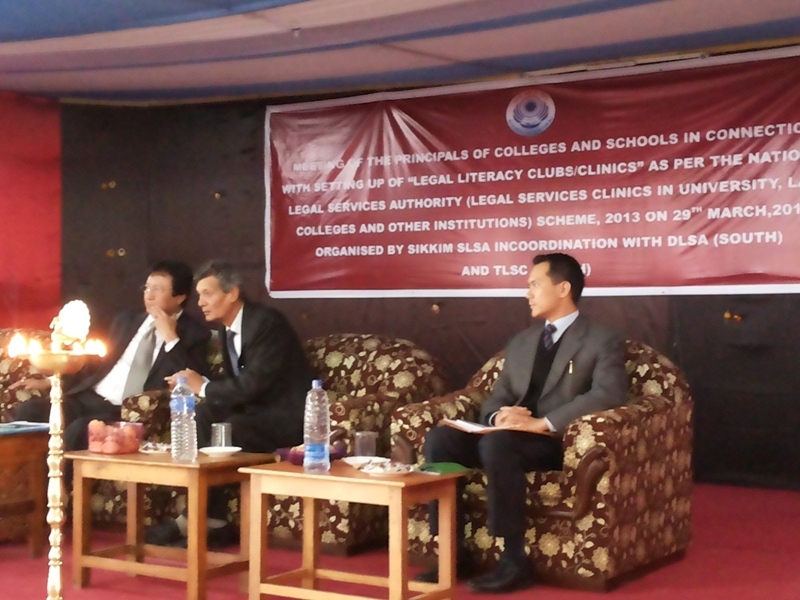 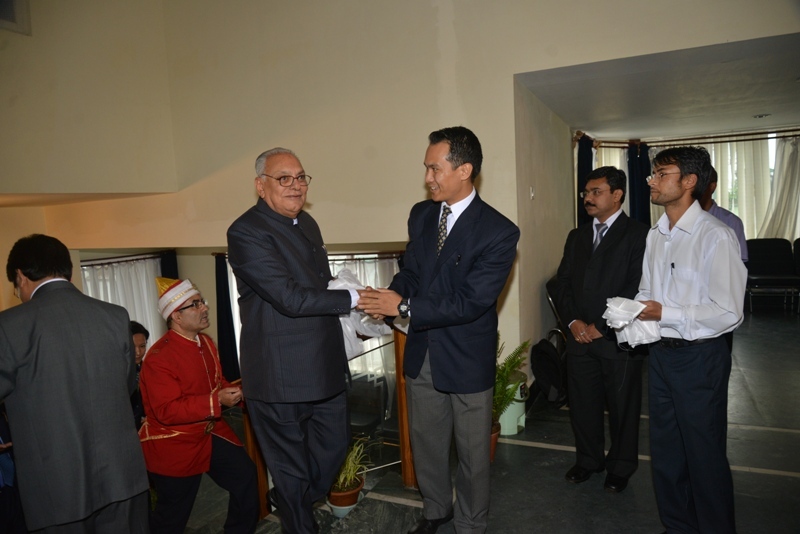 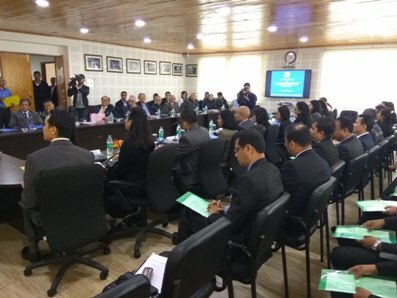 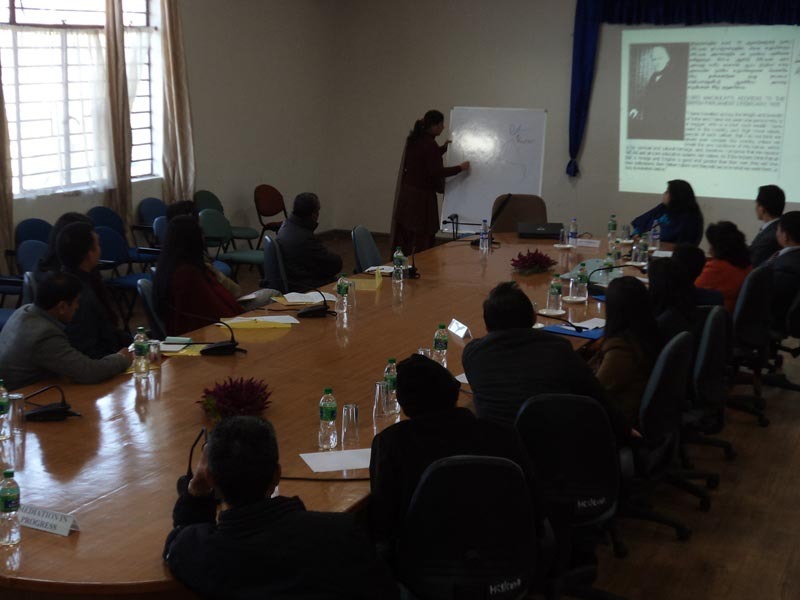 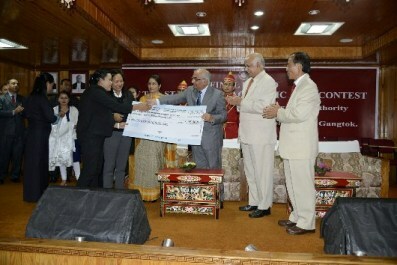 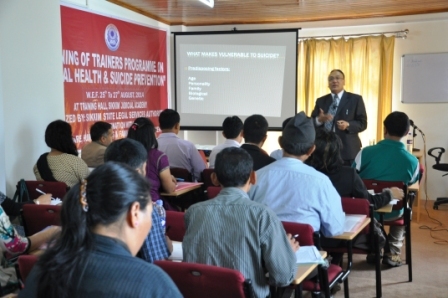 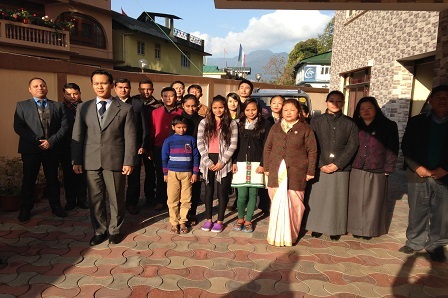 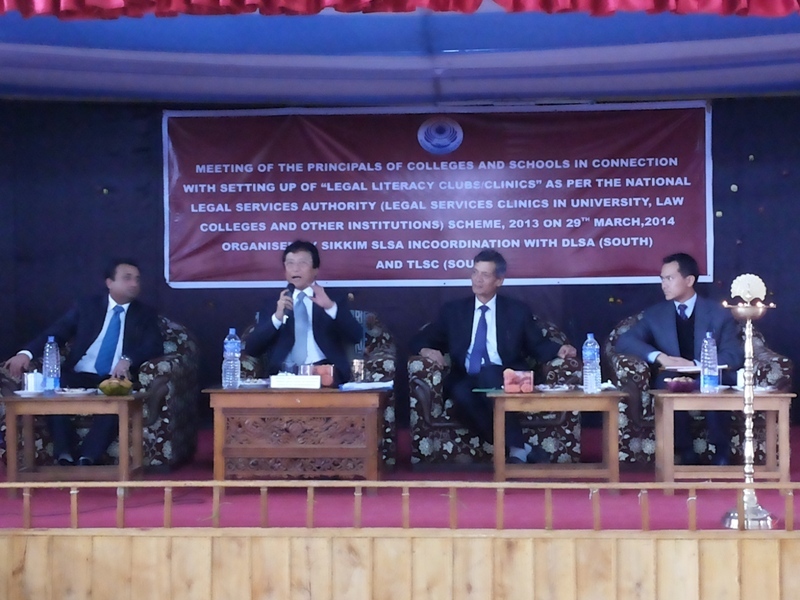 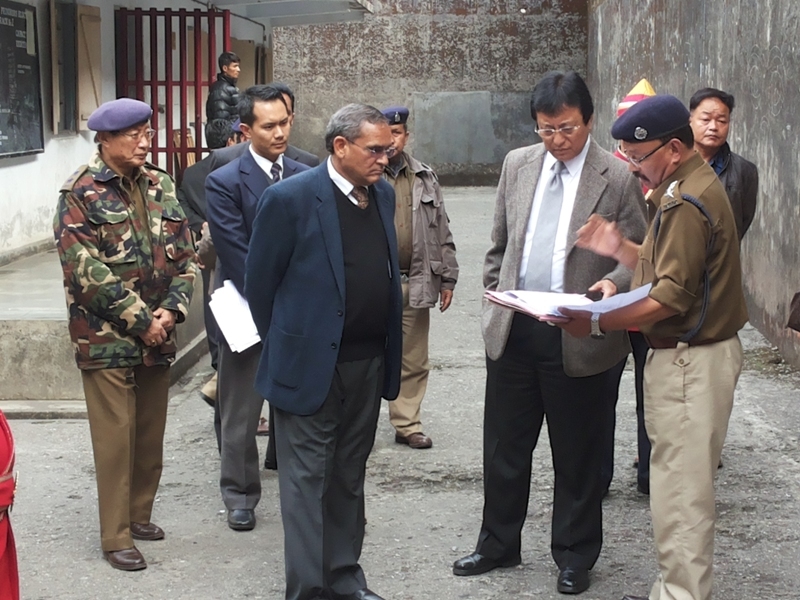 Refresher Course on mediation for Referral Judges and Trained Mediators at conference hall of Sikkim, SLSA. 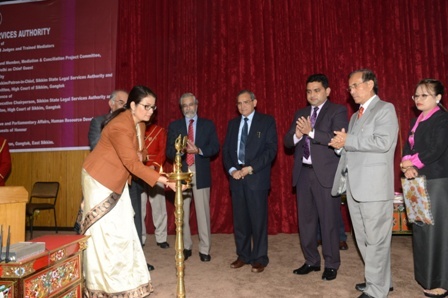 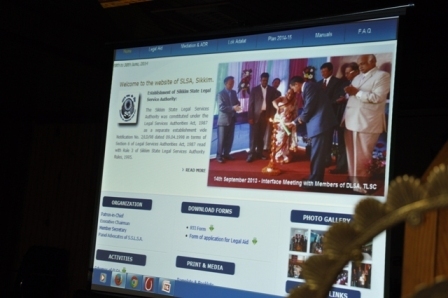 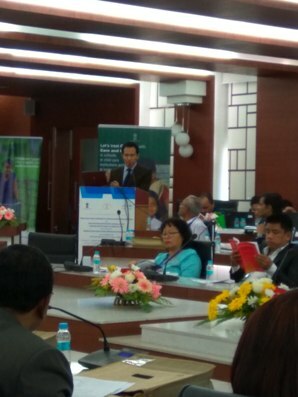 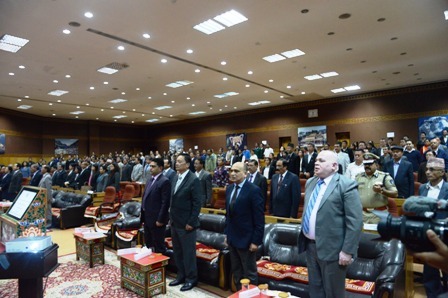 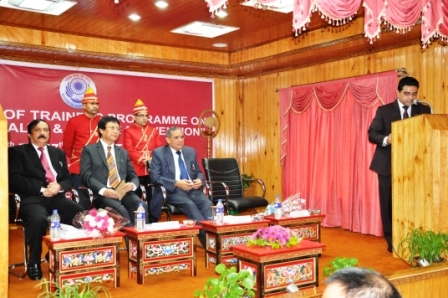 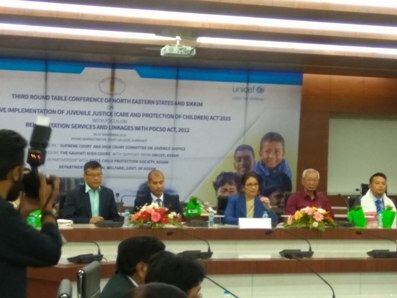 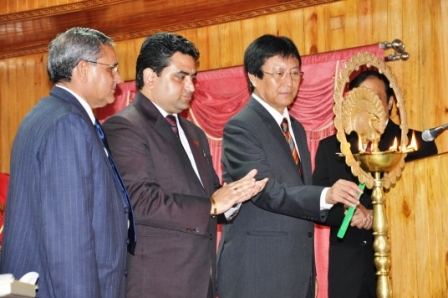 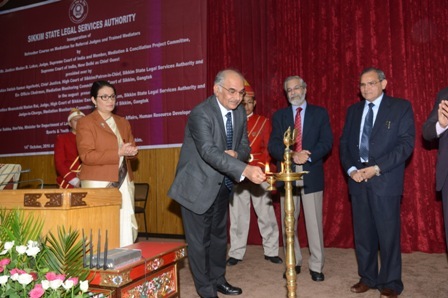 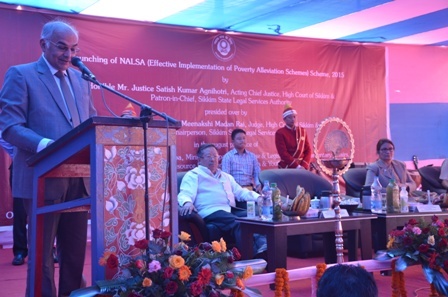 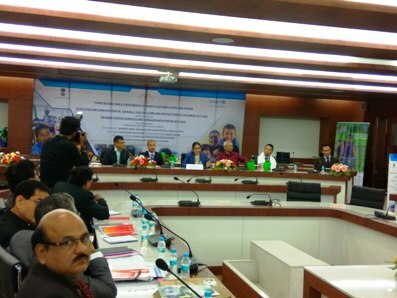 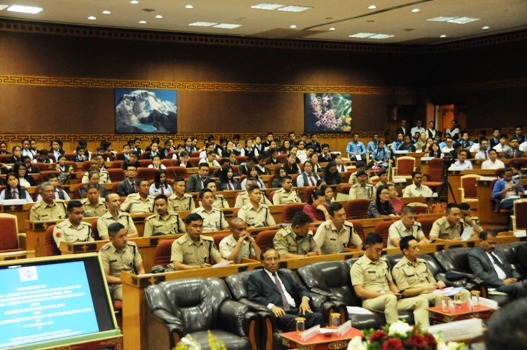 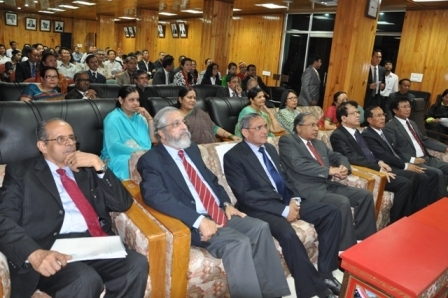 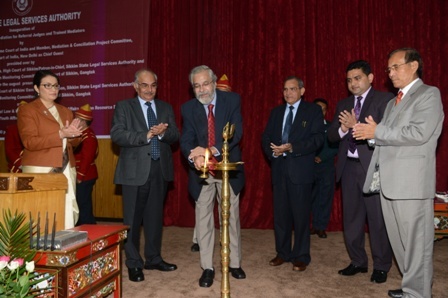 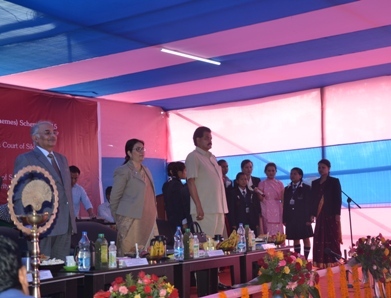 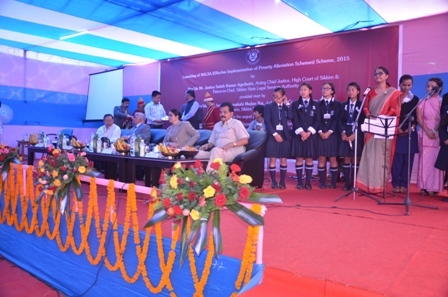 Launching of NALSA(Effective Implementation of Poverty Alleviation Schemes) Scheme,2015 on 11 September 2016. 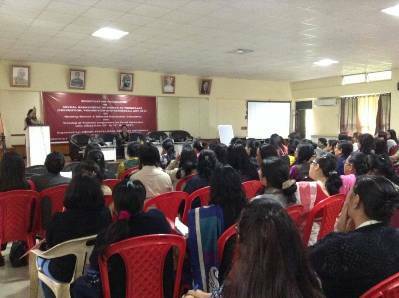 Juvenile Justice third round table conference held at Guwahati on 26 November 2016.
International Women's Day on 08th March 2017. 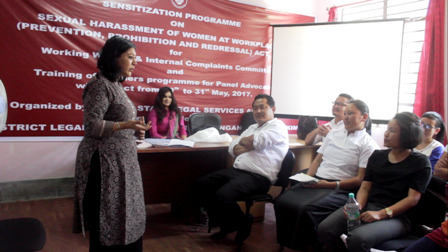 Sensitization Programme on Sexual Harassment of Women at Workplace (Prevention, Prohibition & Redressal) Act,2013 on 24th & 25th March 2017. 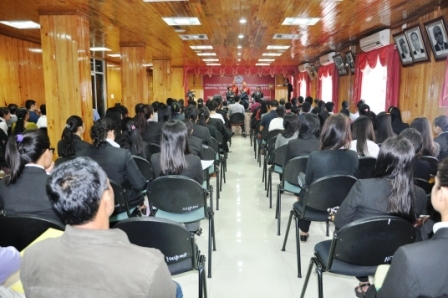 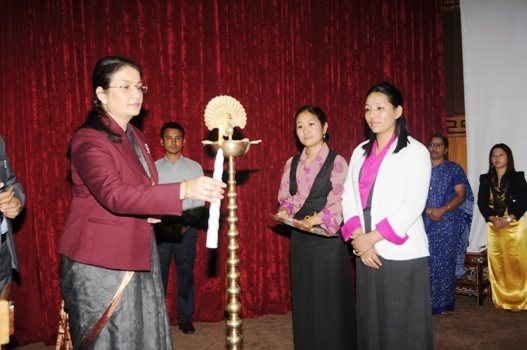 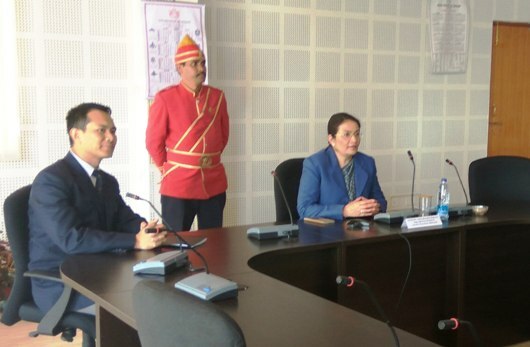 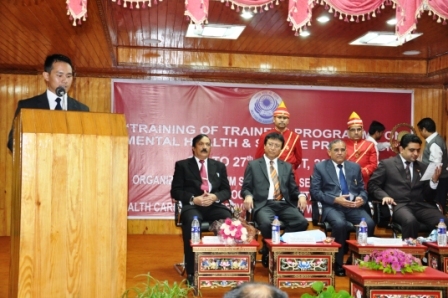 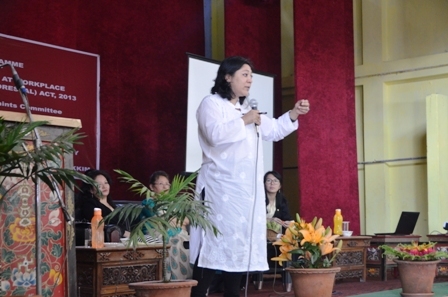 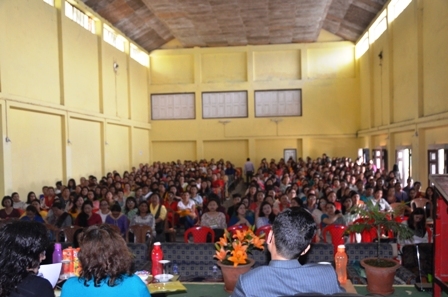 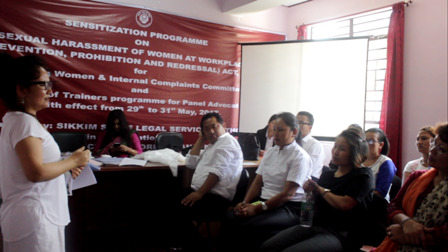 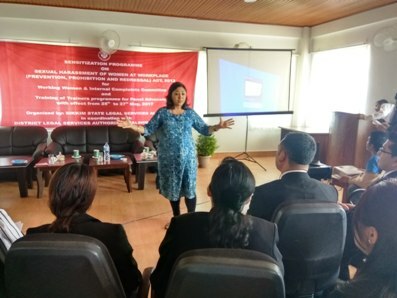 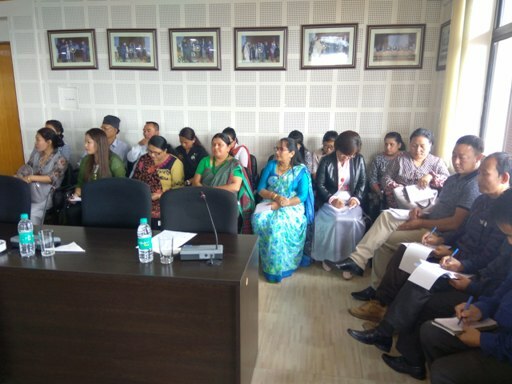 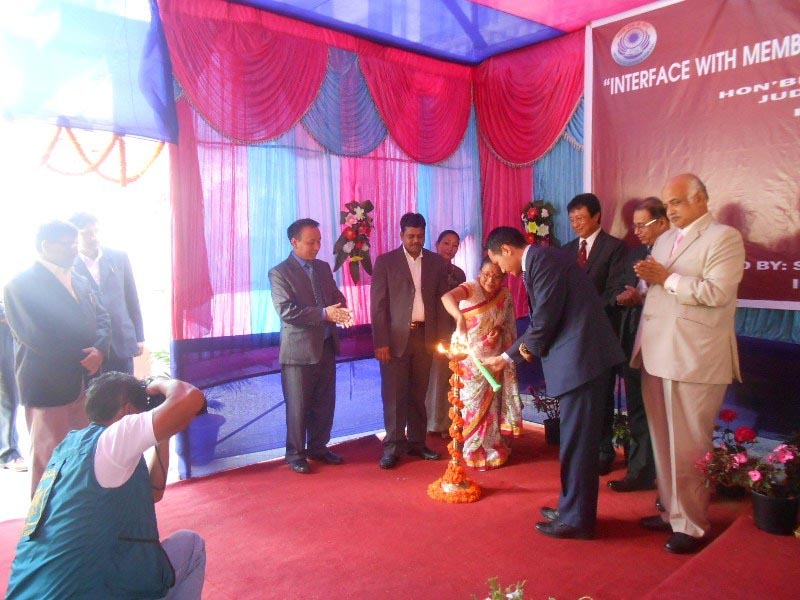 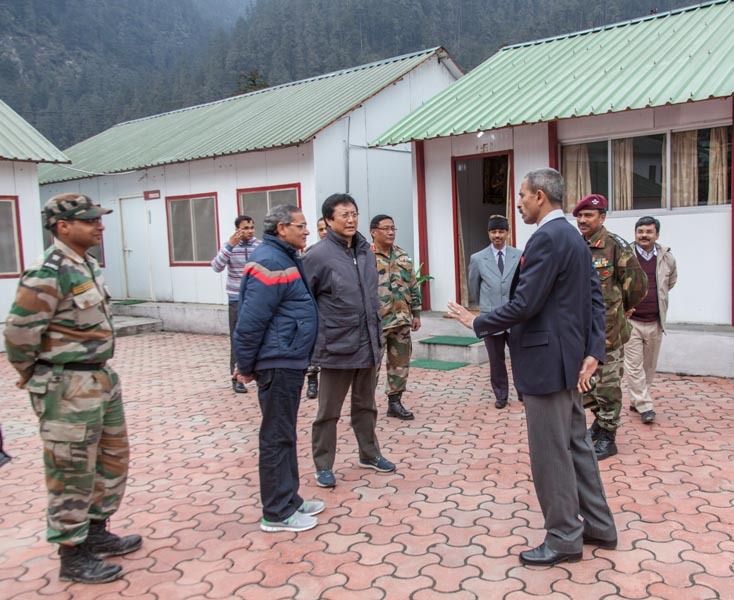 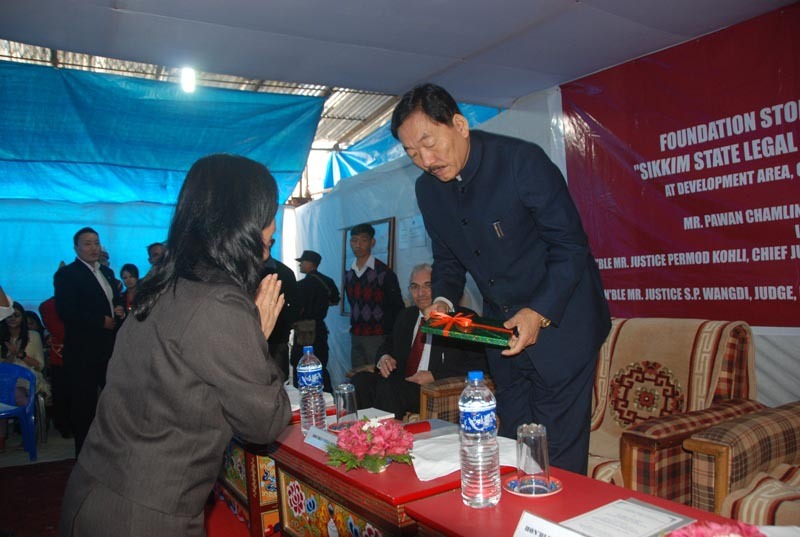 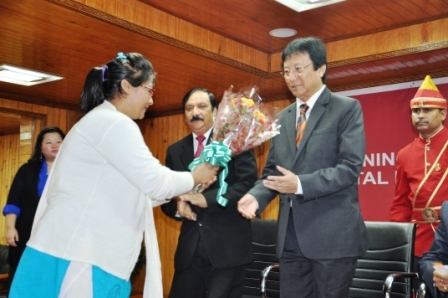 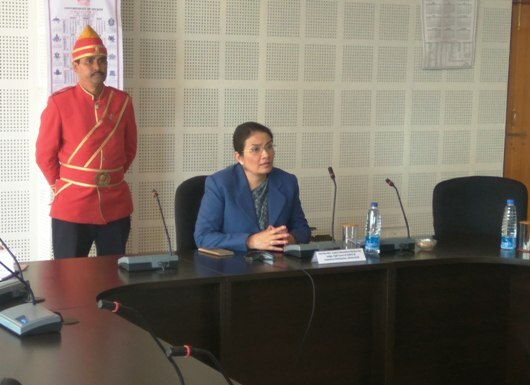 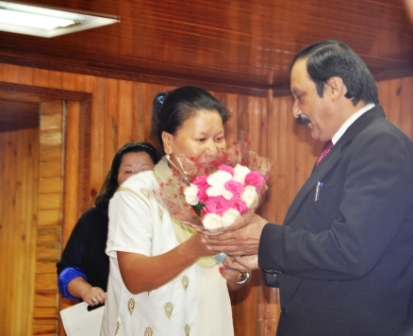 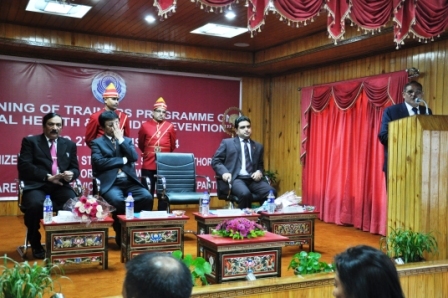 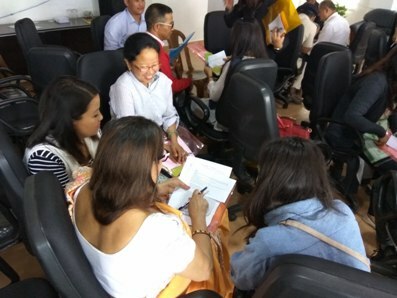 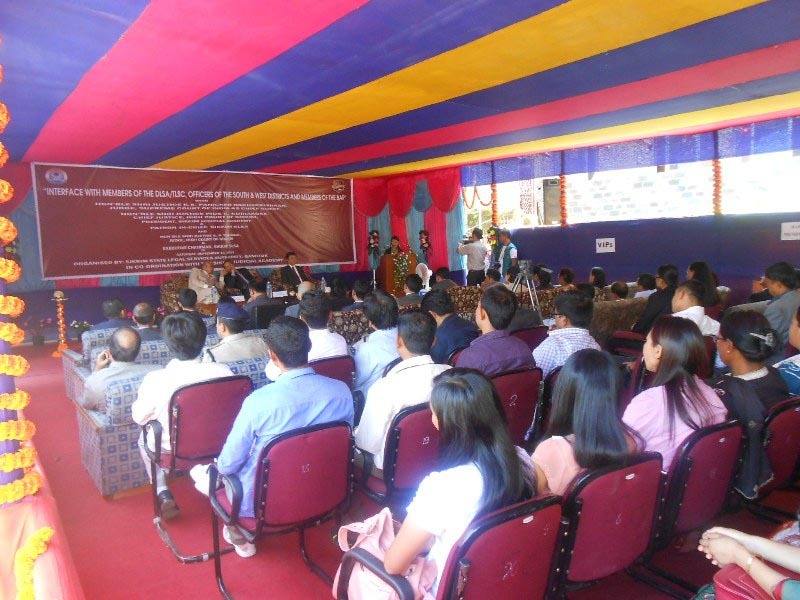 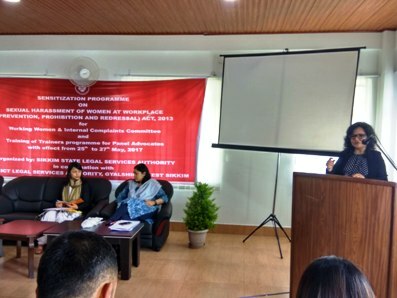 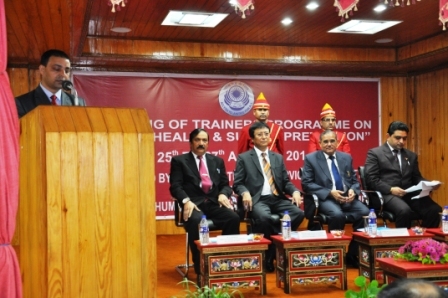 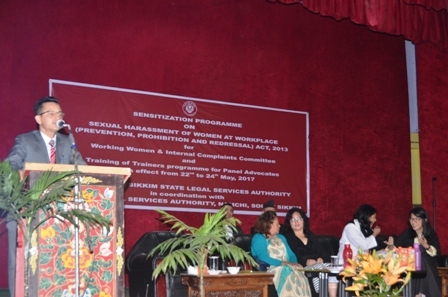 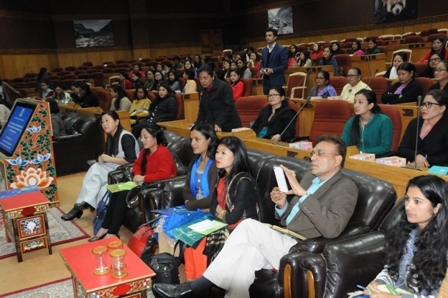 Sensitization Programme on Sexual Harassment of Women at Workplace (Prevention, Prohibition & Redressal) Act,2013 on 22nd to 24th May 2017 at South Sikkim. 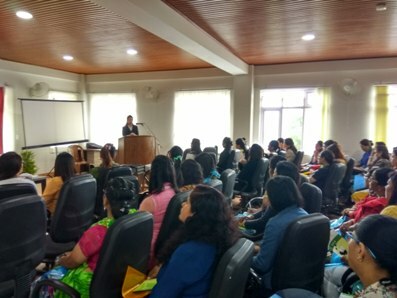 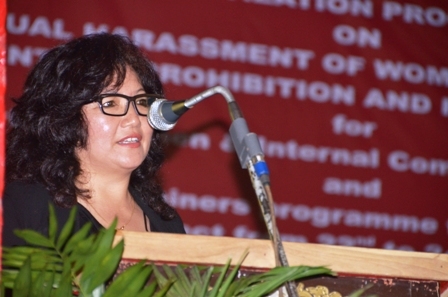 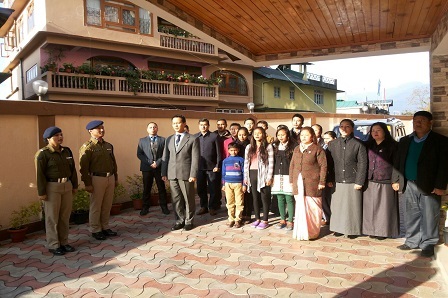 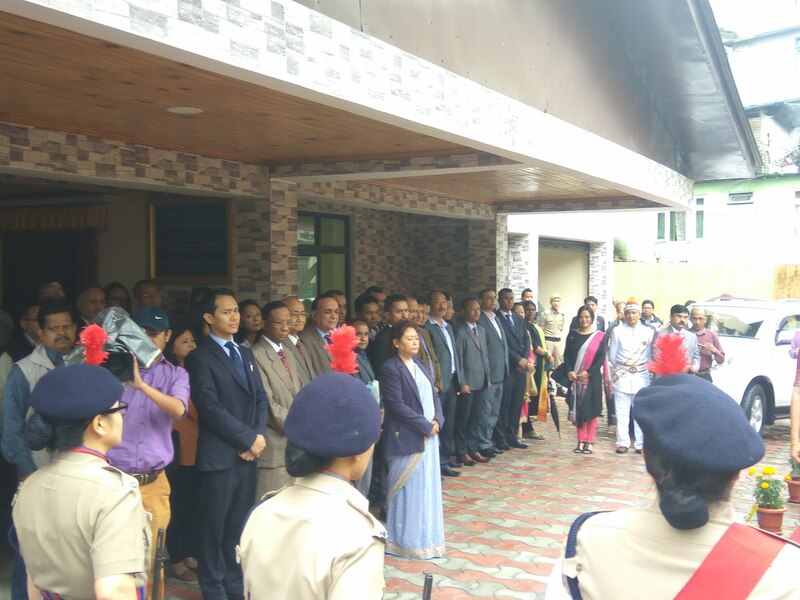 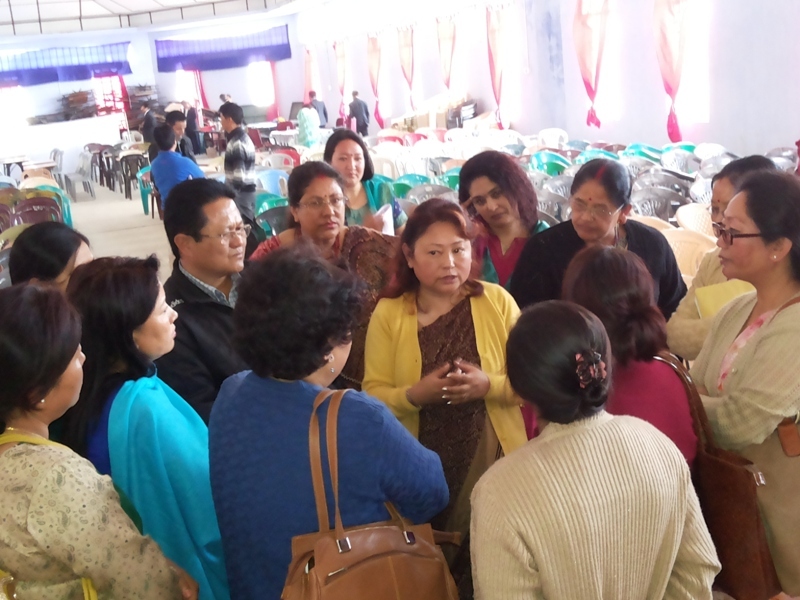 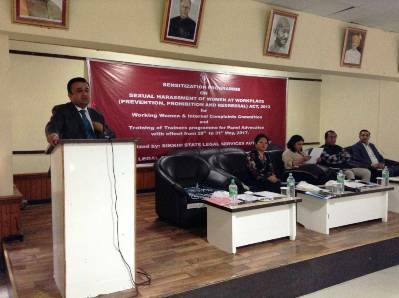 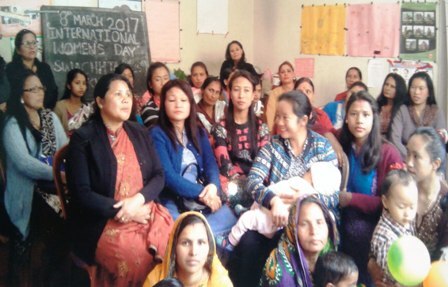 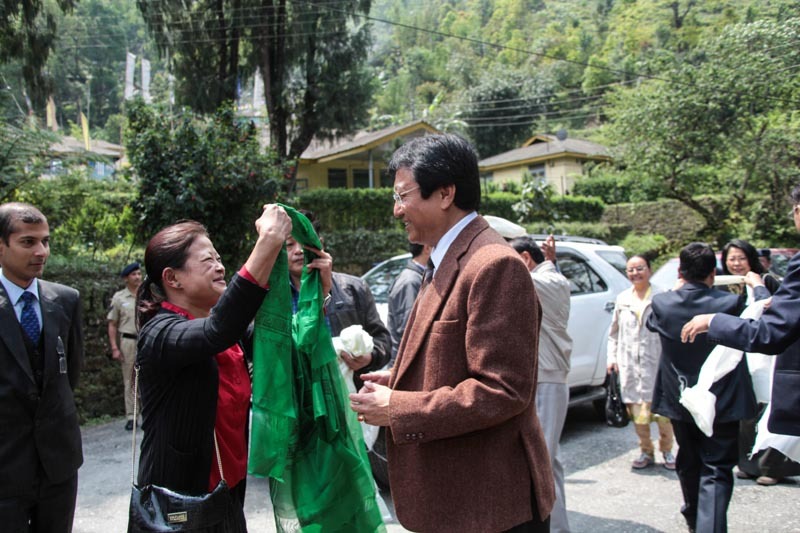 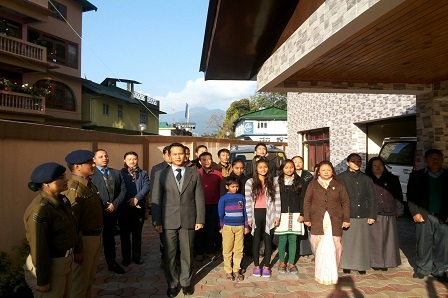 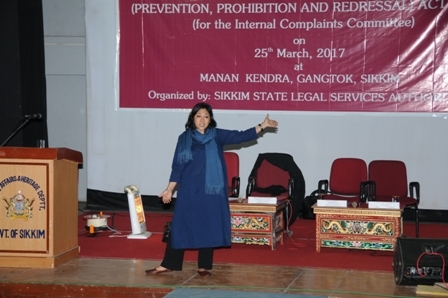 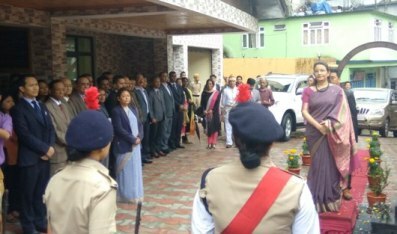 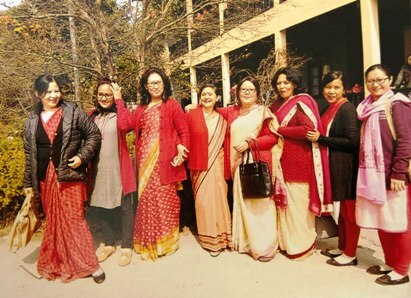 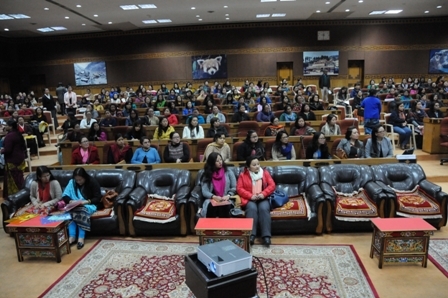 Sensitization Programme on Sexual Harassment of Women at Workplace (Prevention, Prohibition & Redressal) Act,2013 on 25th to 27th May 2017 at West Sikkim. 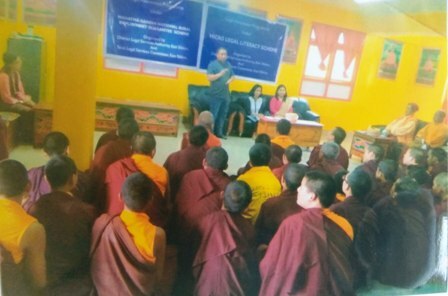 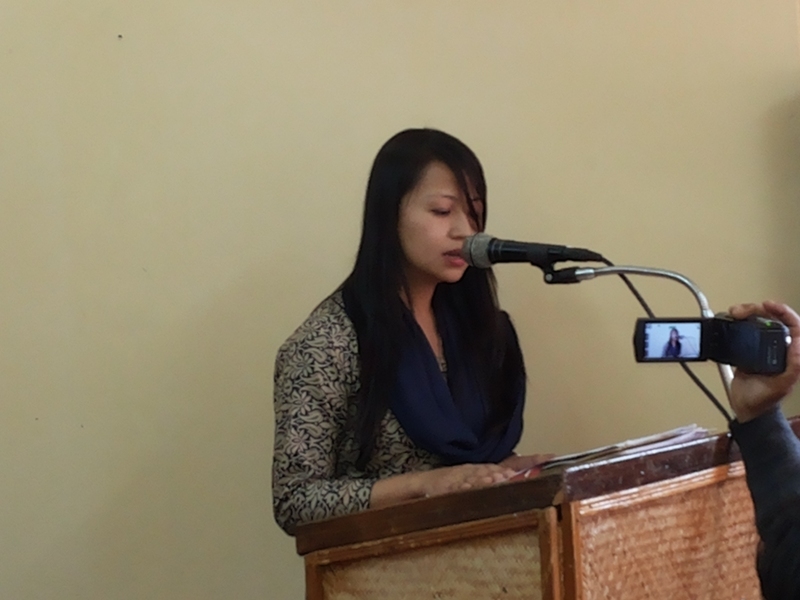 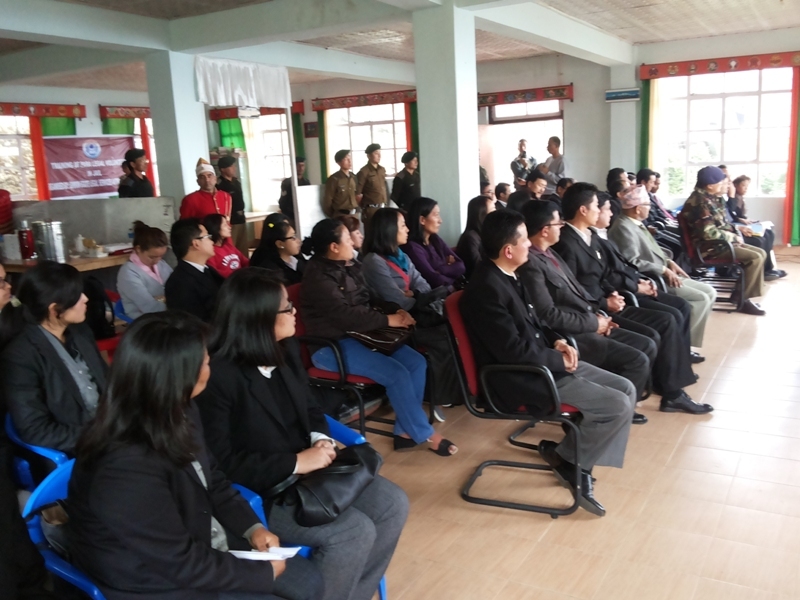 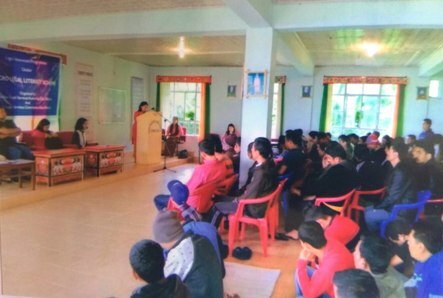 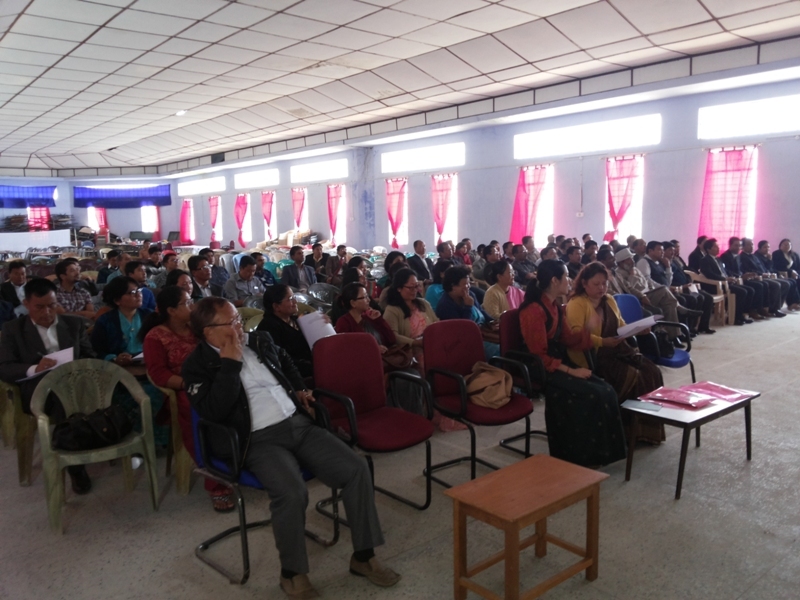 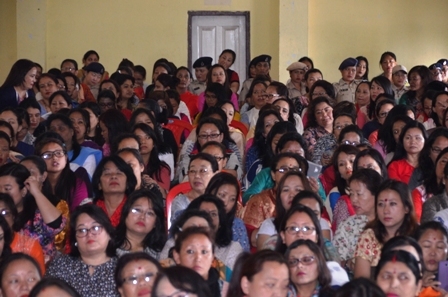 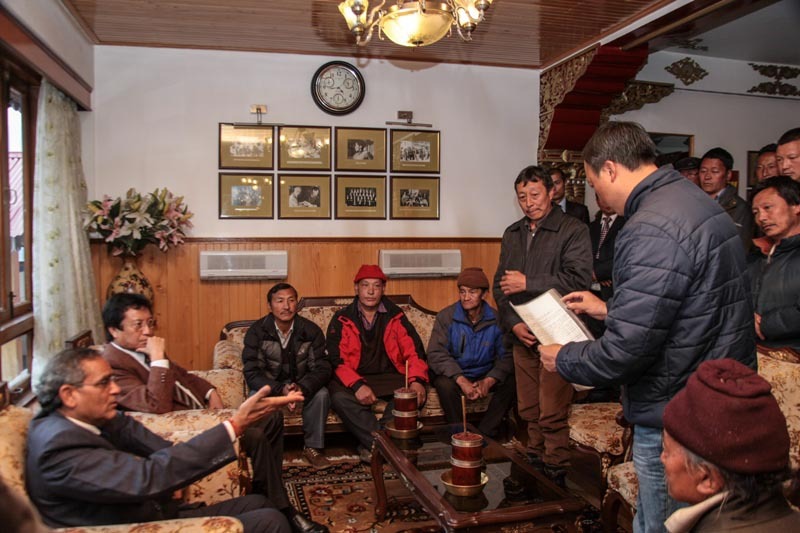 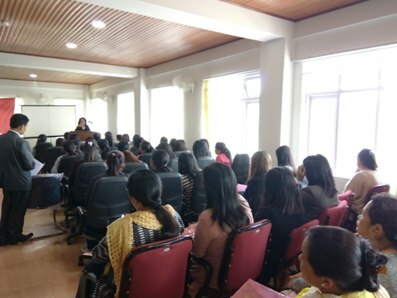 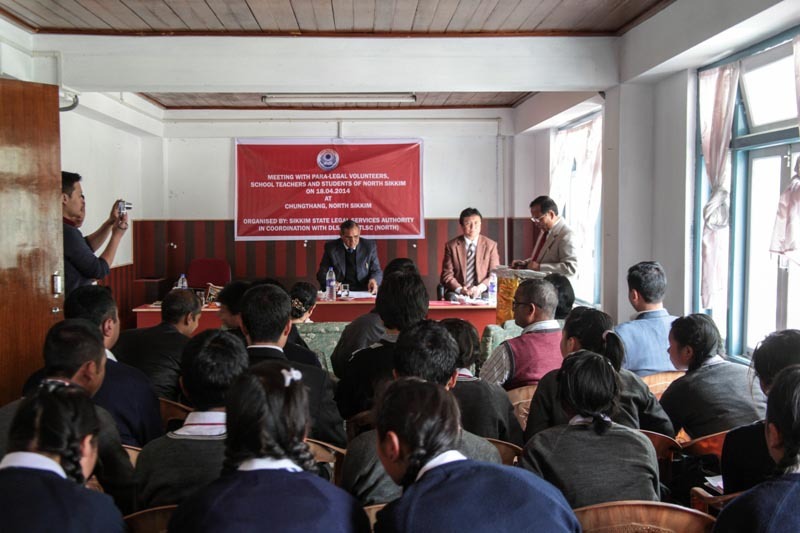 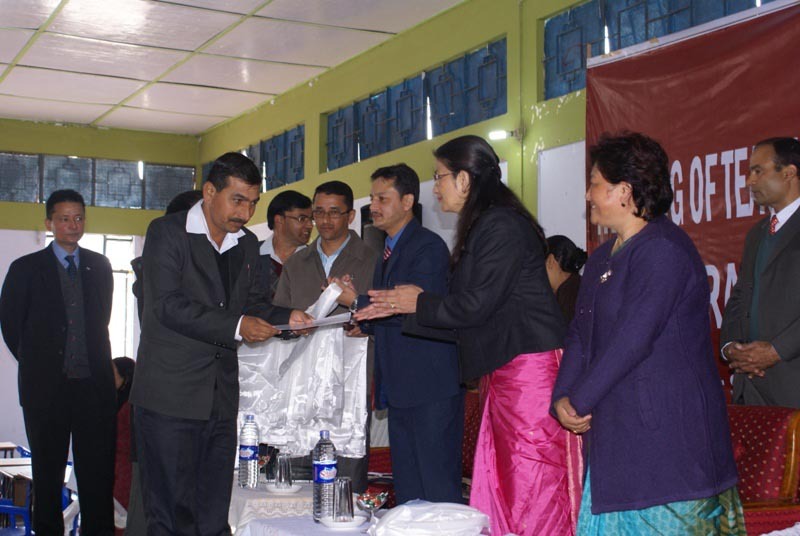 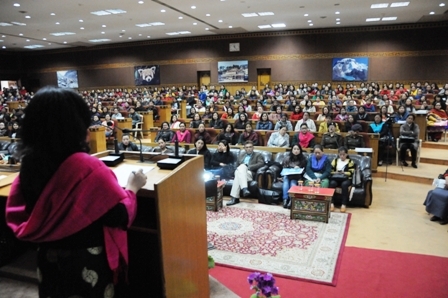 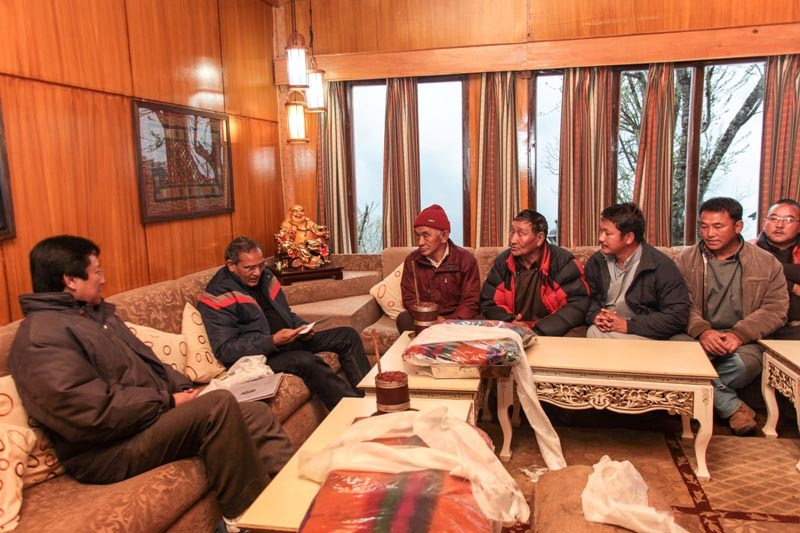 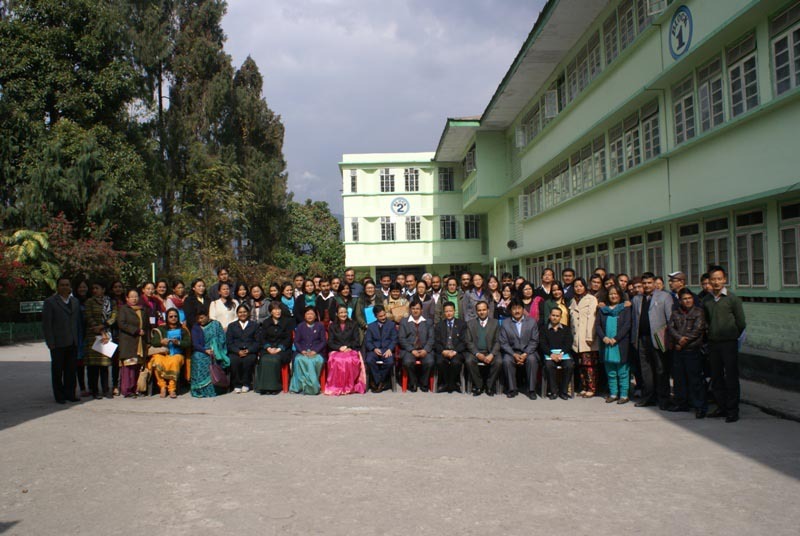 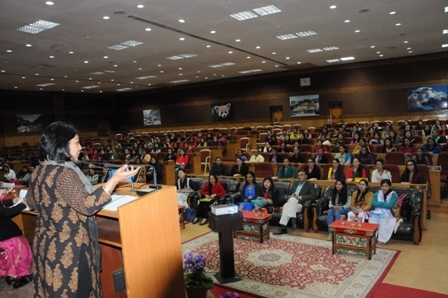 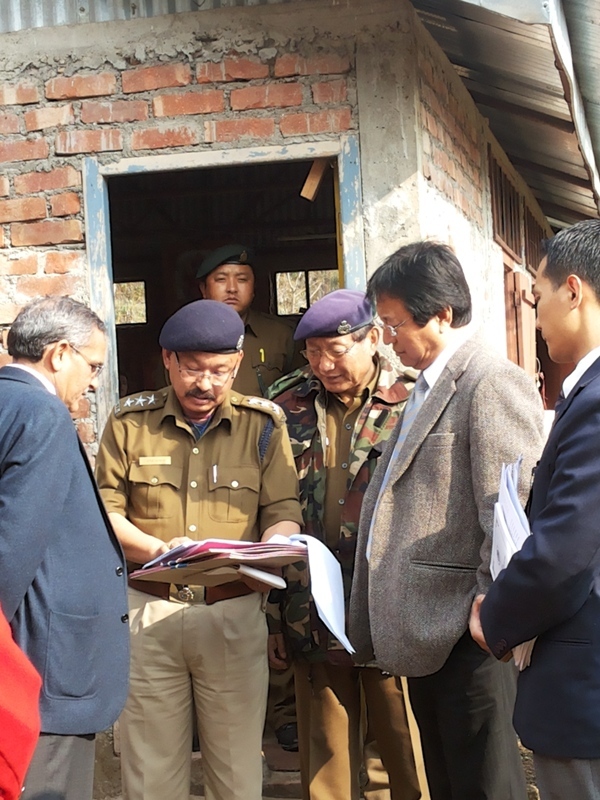 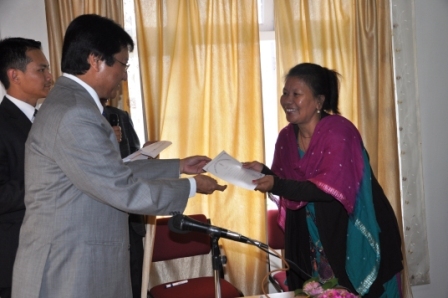 Sensitization Programme on Sexual Harassment of Women at Workplace (Prevention, Prohibition & Redressal) Act,2013 on 29th to 31th May 2017 at North Sikkim. 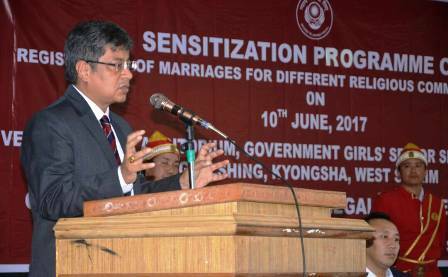 Sensitization Programme on Registration of Marriages for different Religious Communities in Sikkim on 10th June, 2017 at West Sikkim. 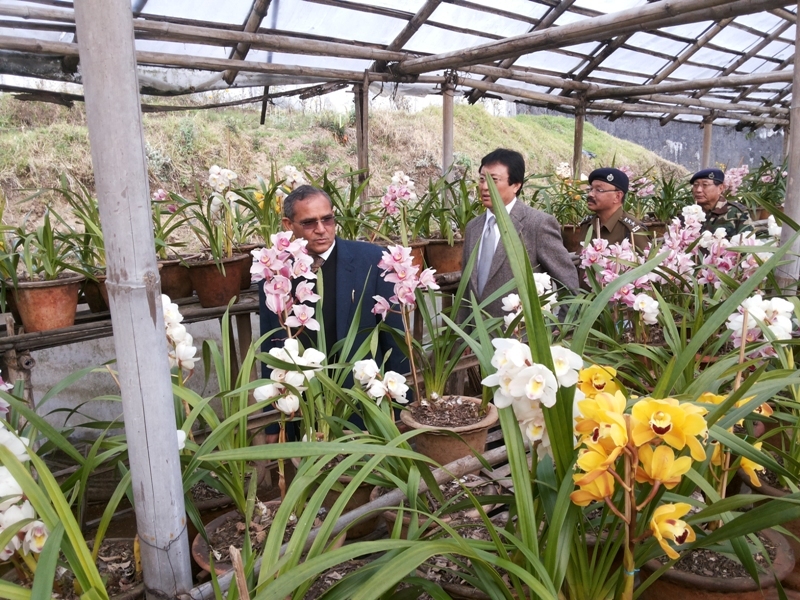 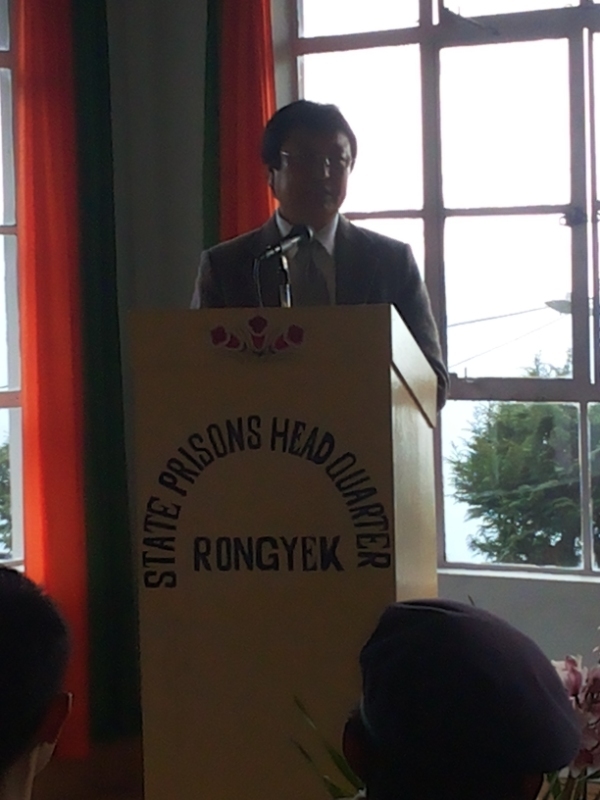 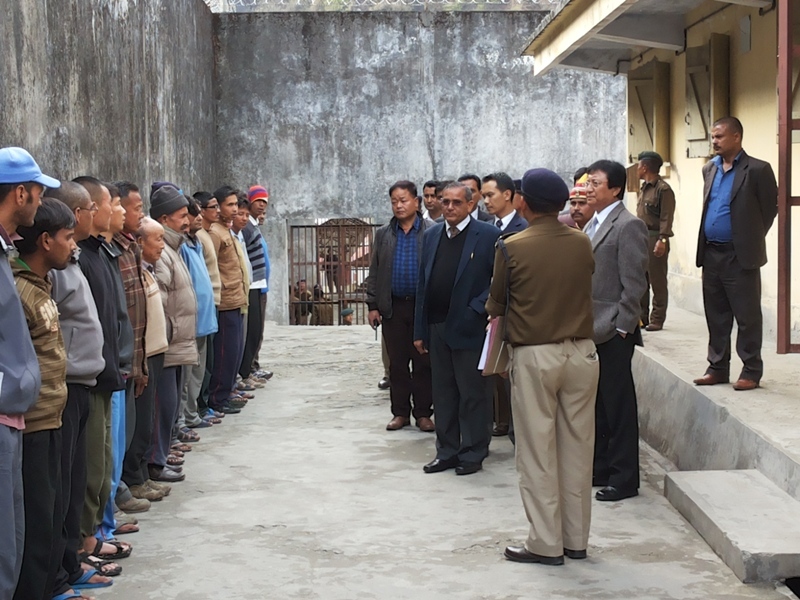 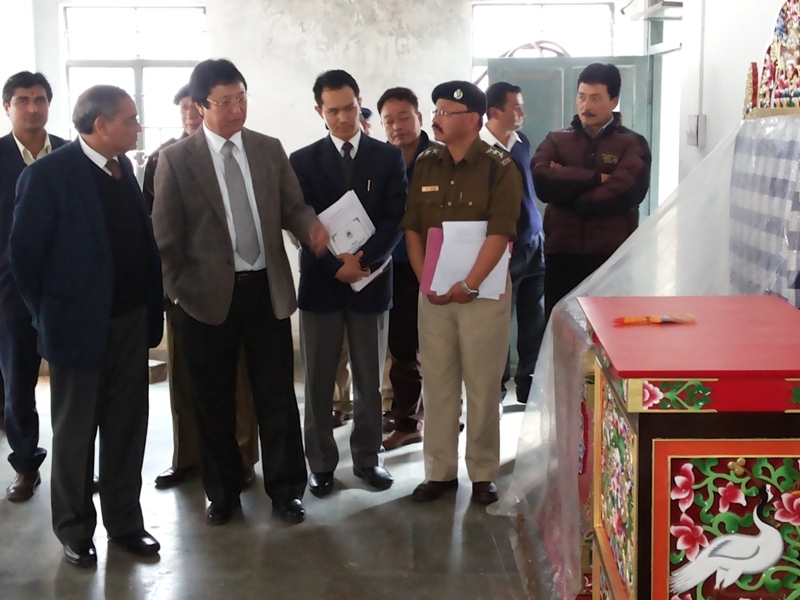 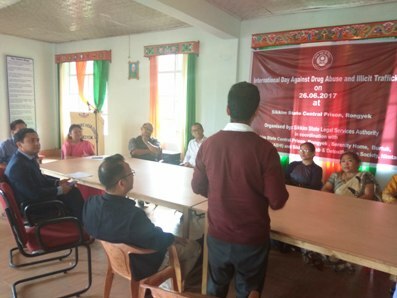 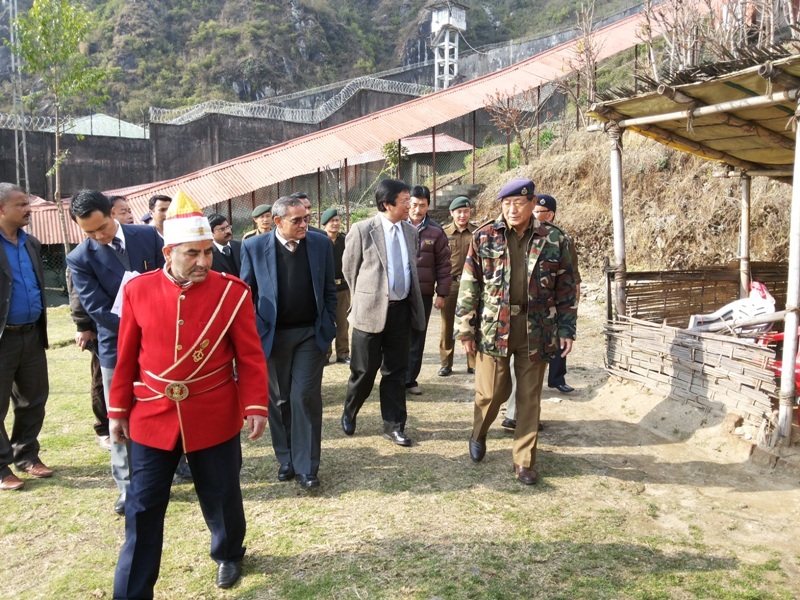 Celebration of International Day against Drug Abuse and Illicit Trafficking on 26th June, 2017 at Sikkim State Central Prison, Rongyek. 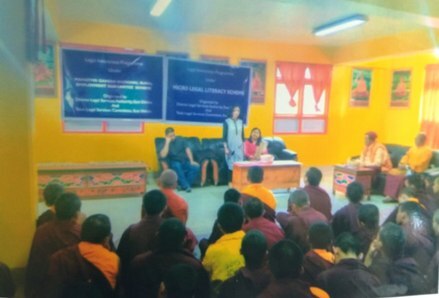 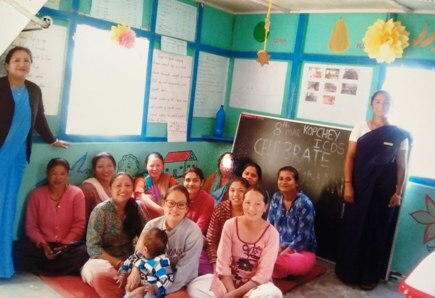 Micro Legal Literacy Camp organized by DLSA at Enchey Monastery Complex, East Sikkim on 23rd July 2017. 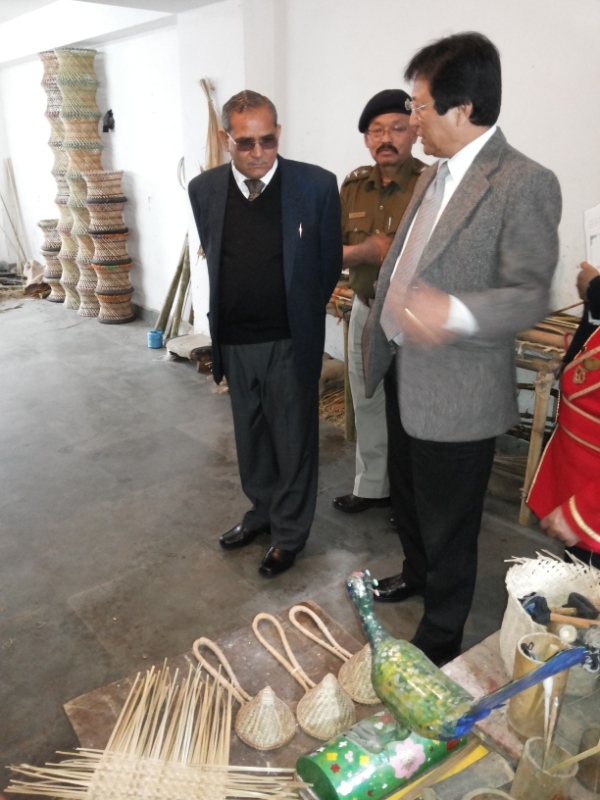 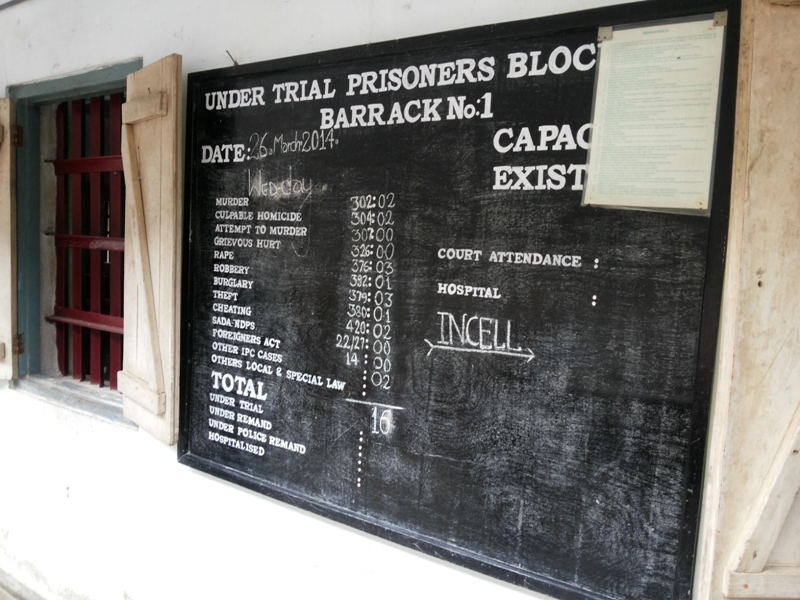 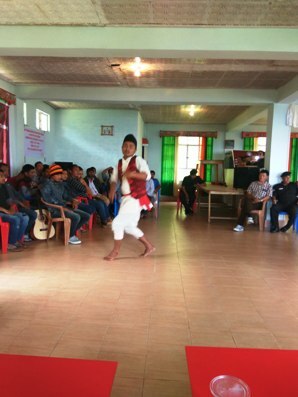 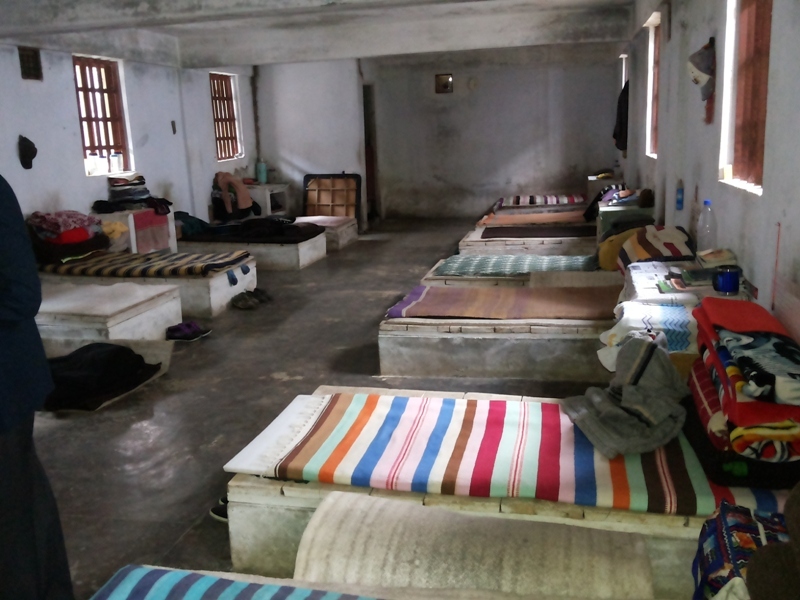 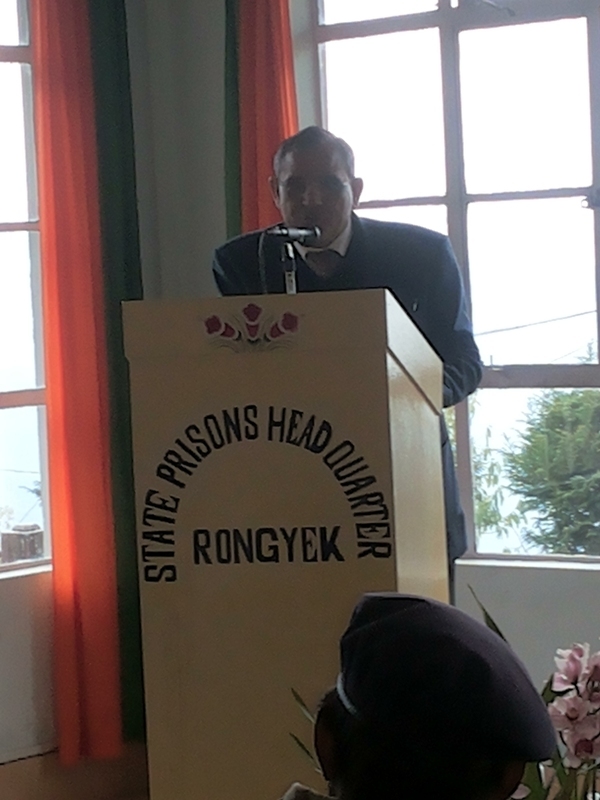 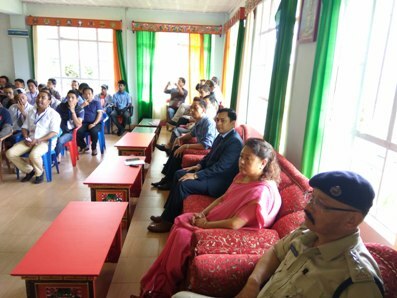 MG-NREGA Legal Literacy Camp organized by DLSA at State Jail,Rongyek, East Sikkim on 23rd July 2017. 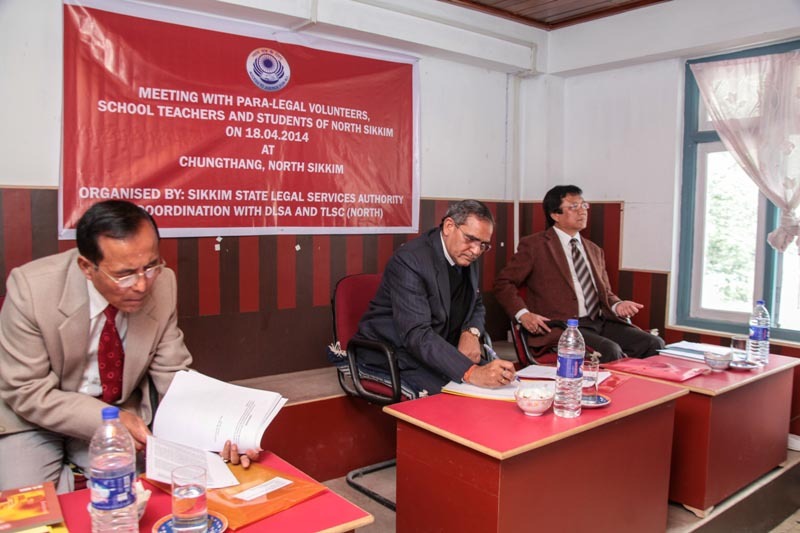 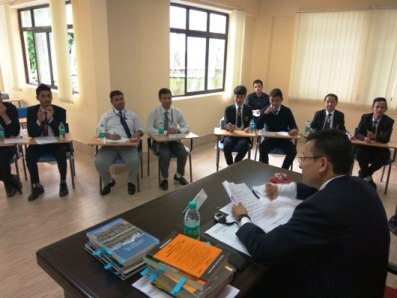 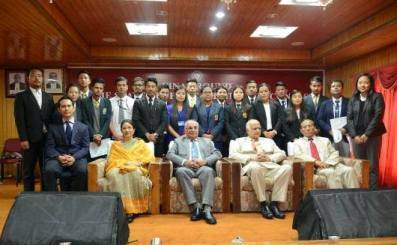 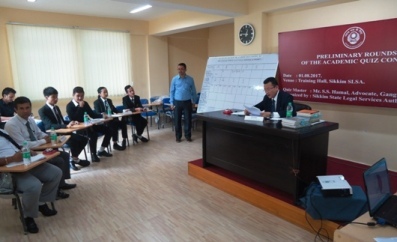 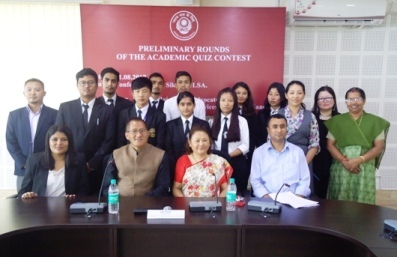 Preliminary Round of Academic Quiz Contest held on 1st August, 2017 at Sikkim SLSA. 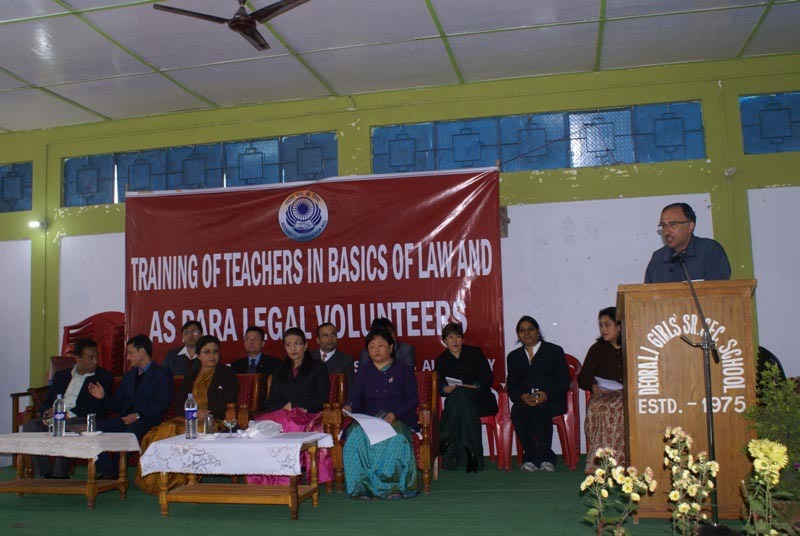 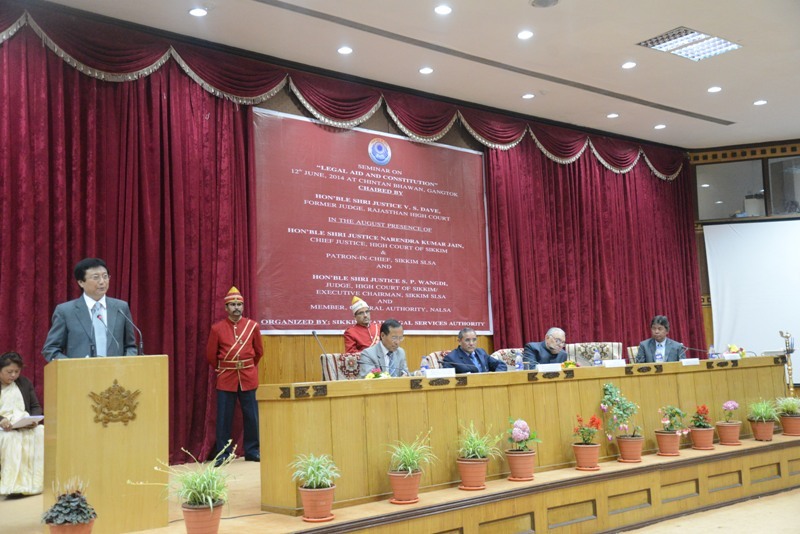 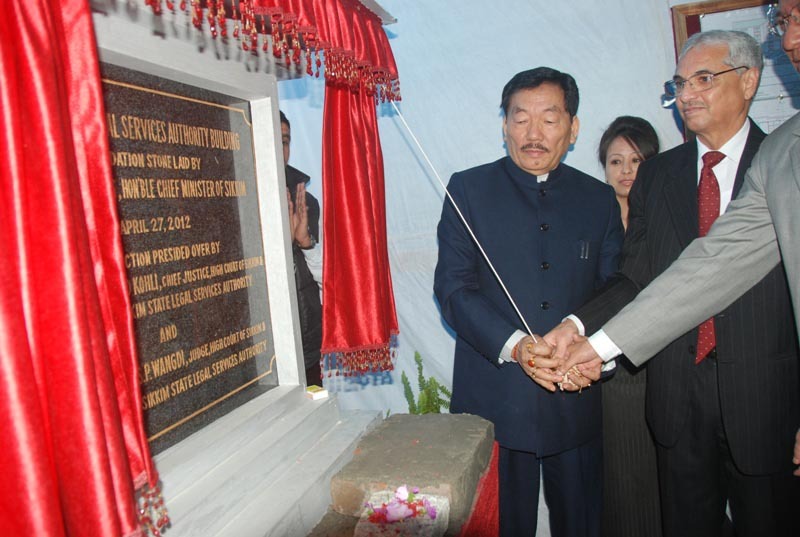 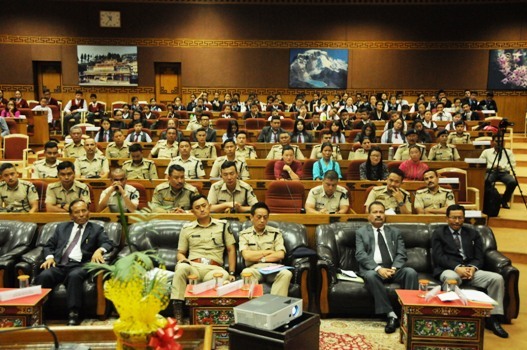 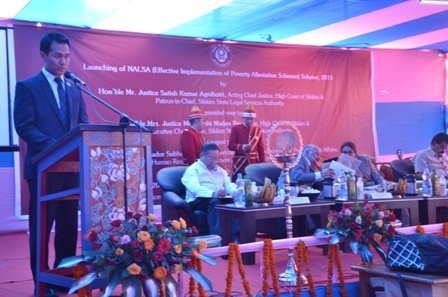 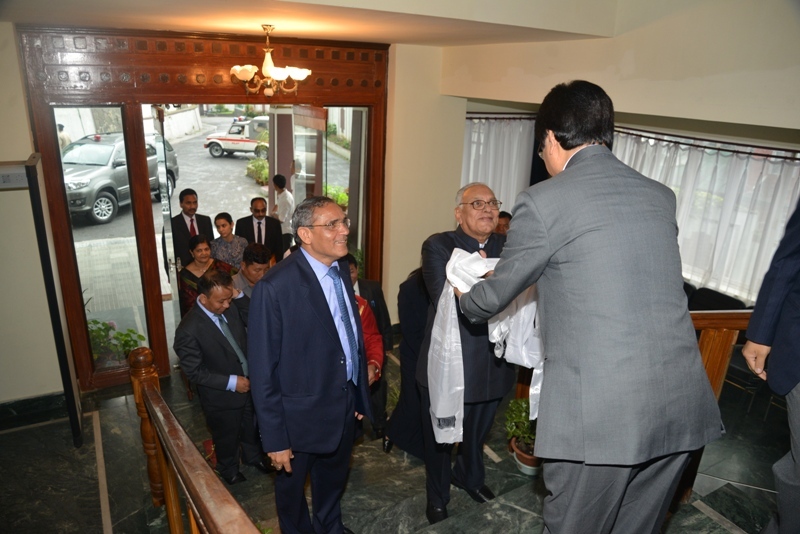 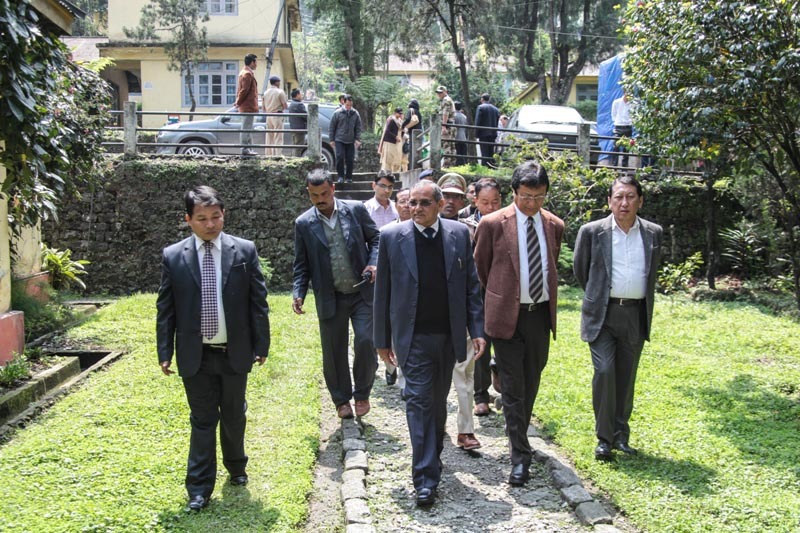 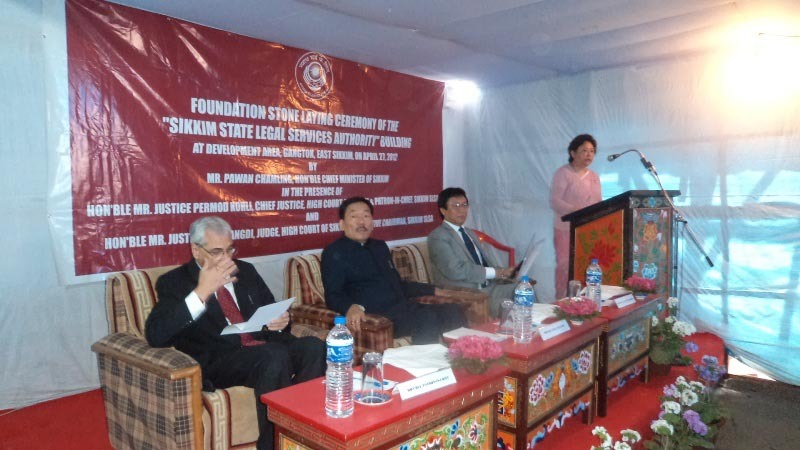 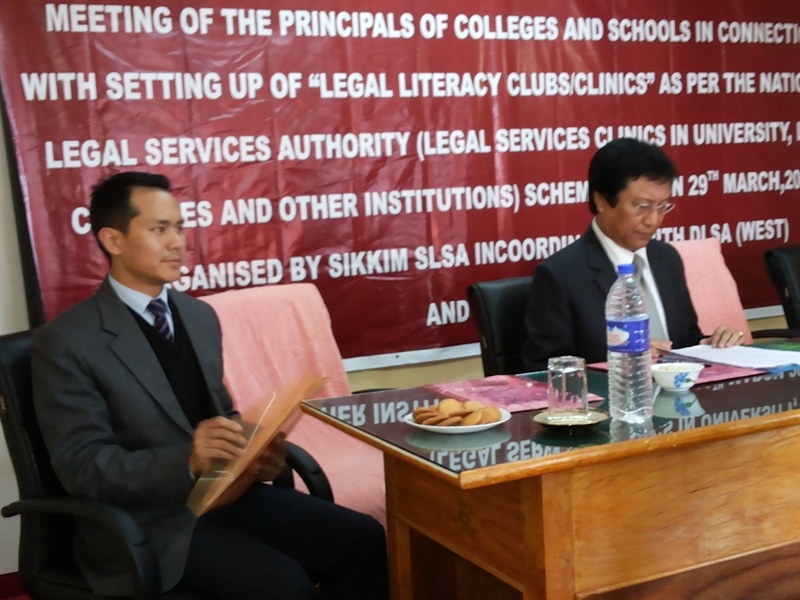 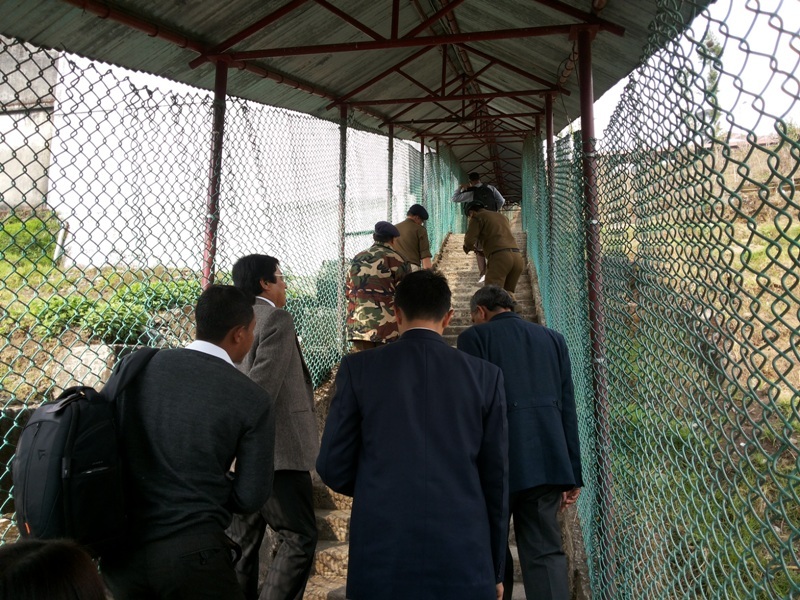 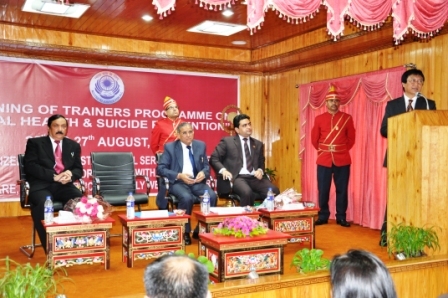 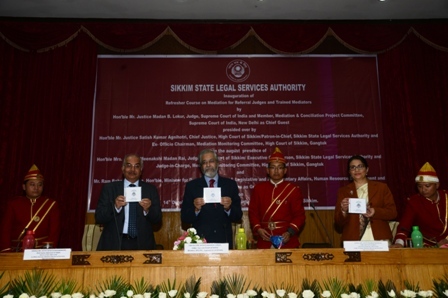 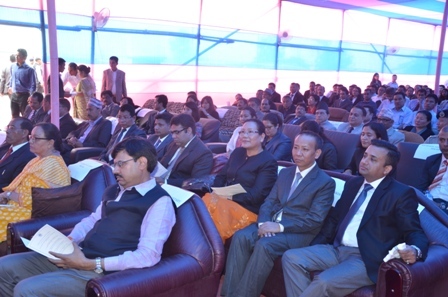 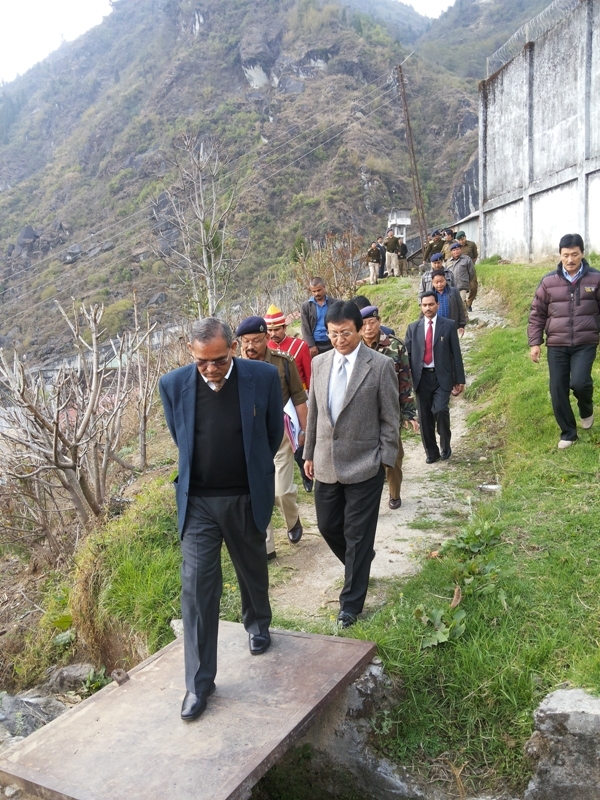 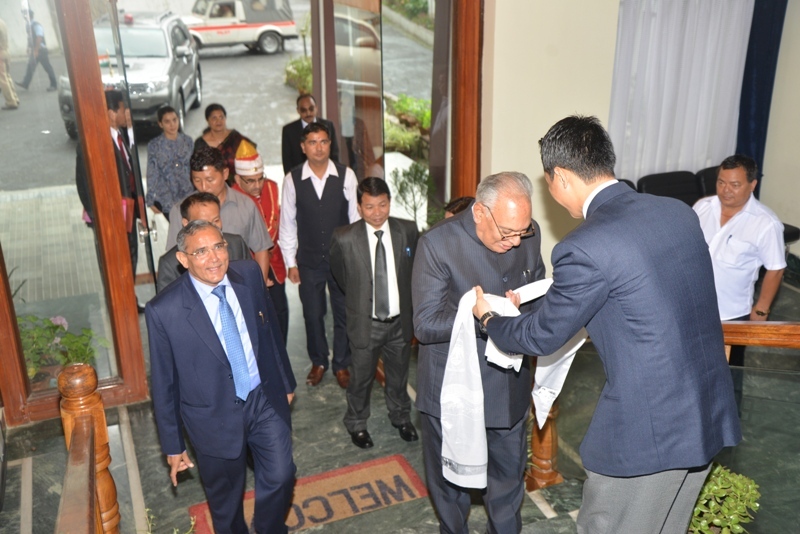 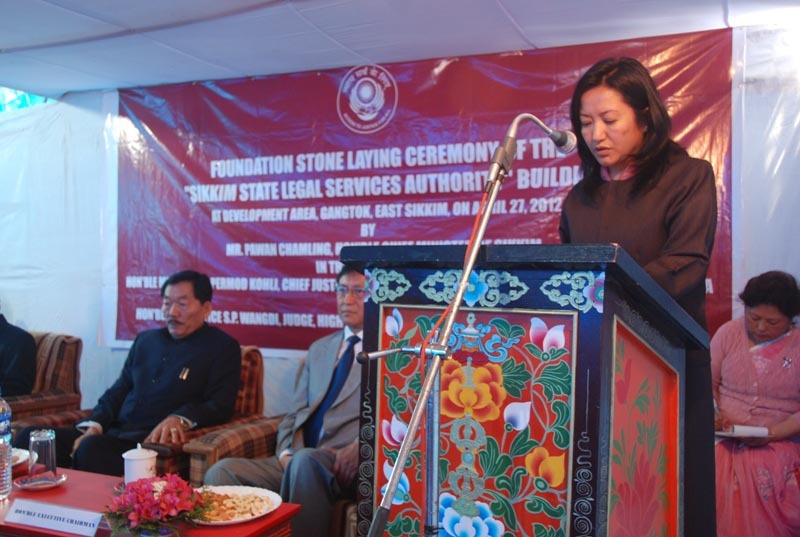 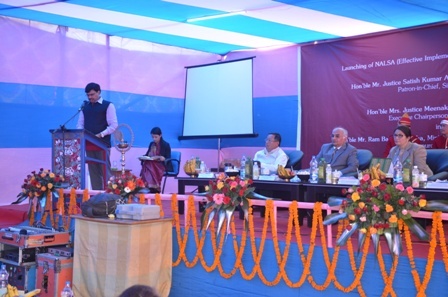 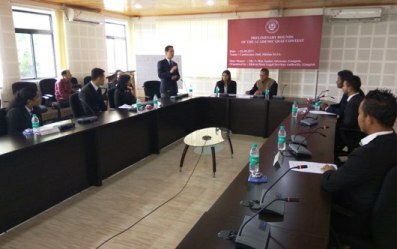 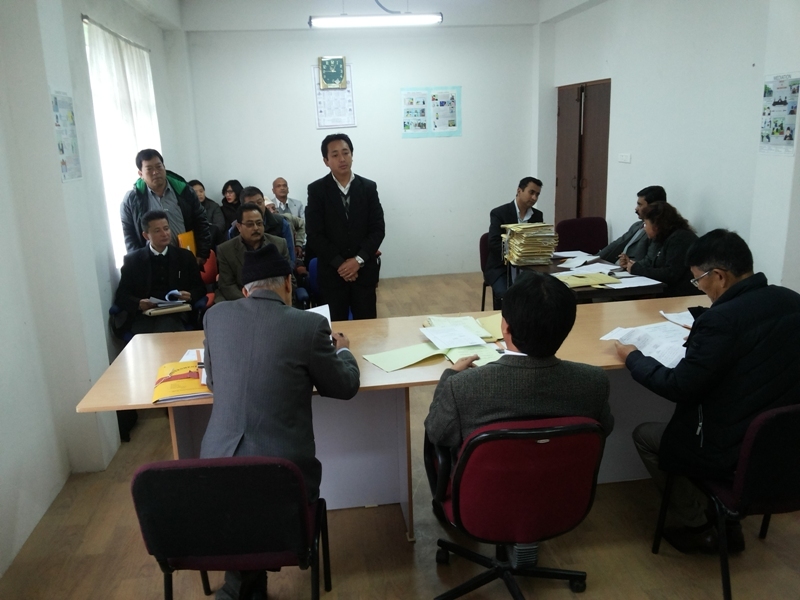 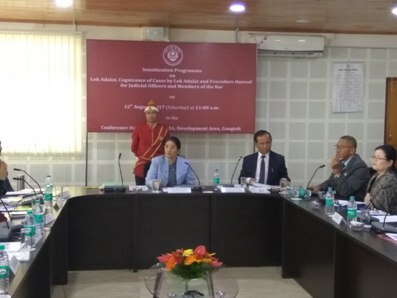 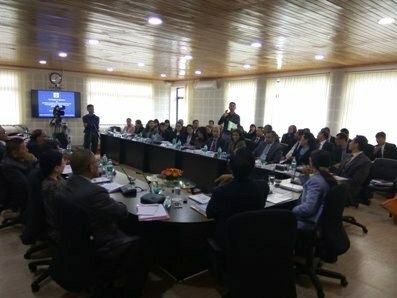 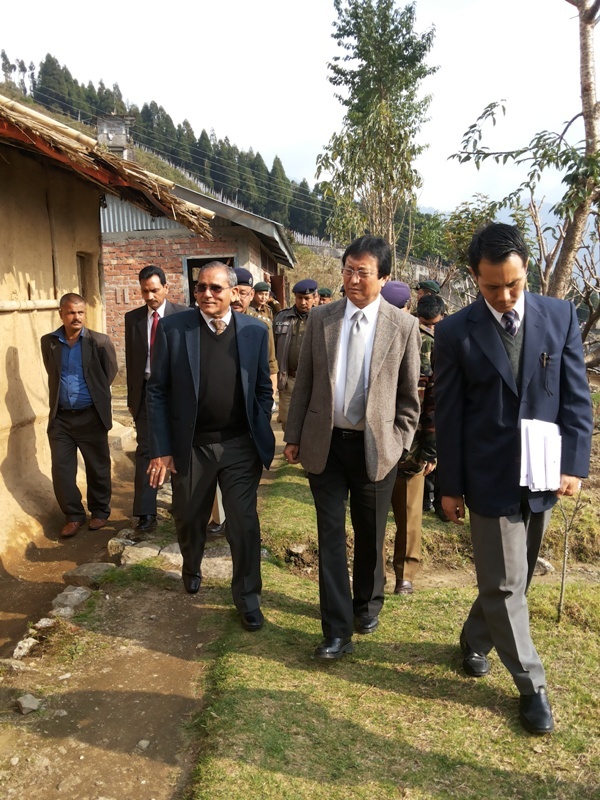 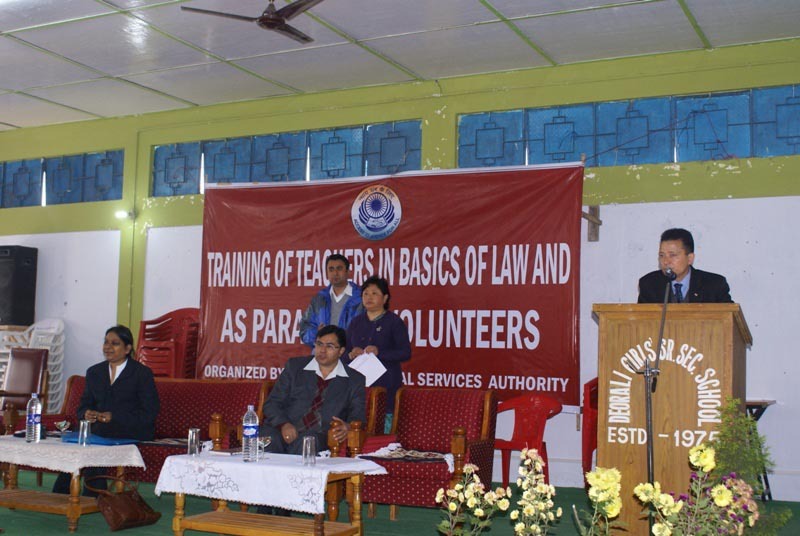 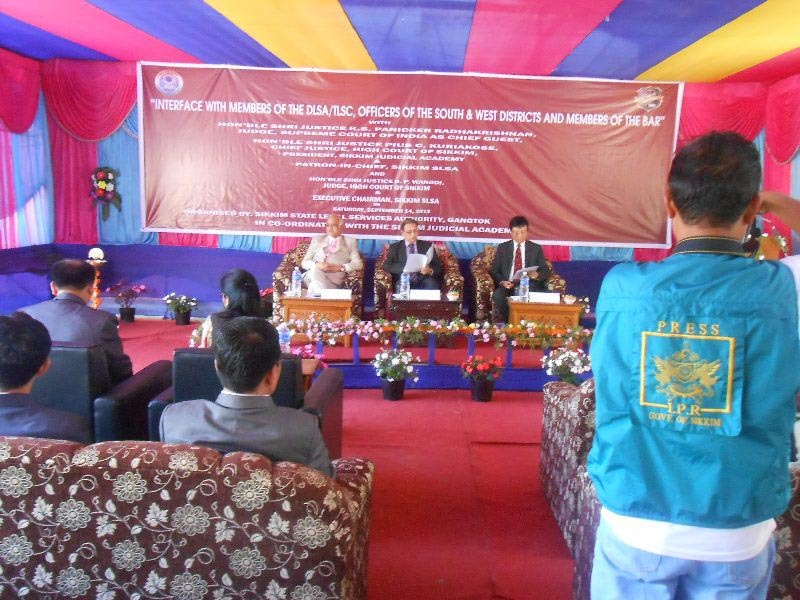 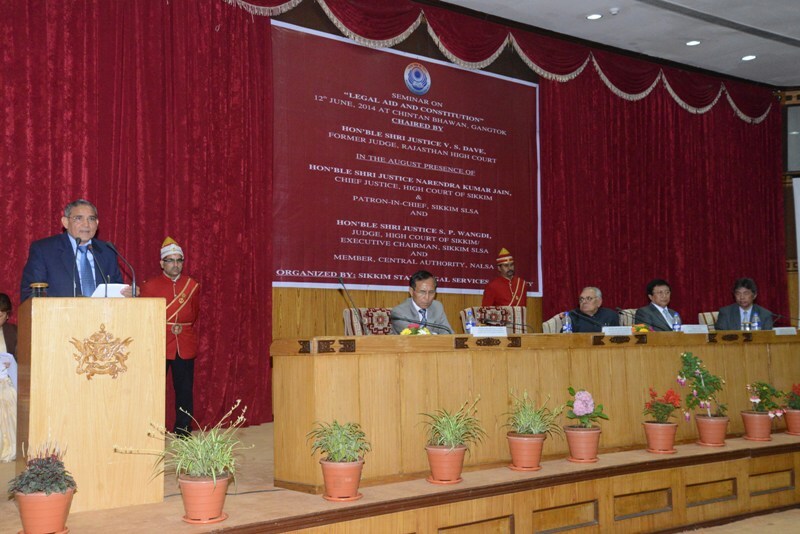 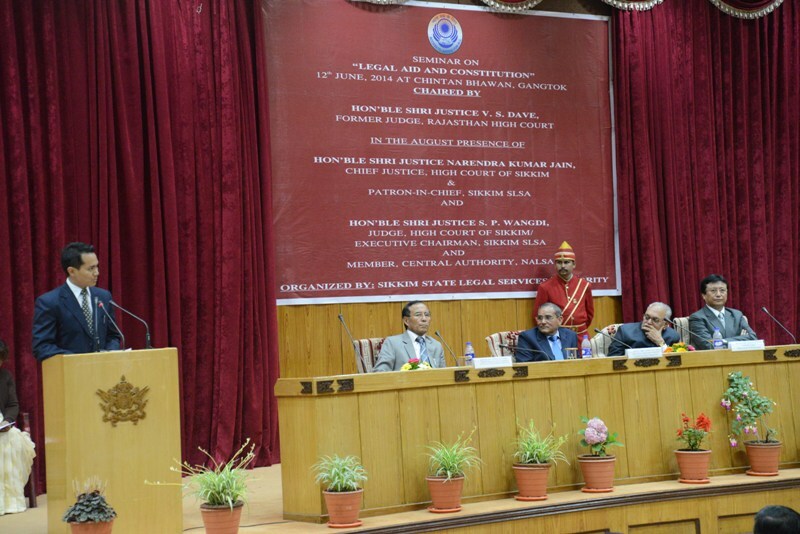 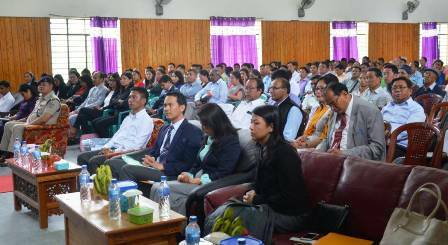 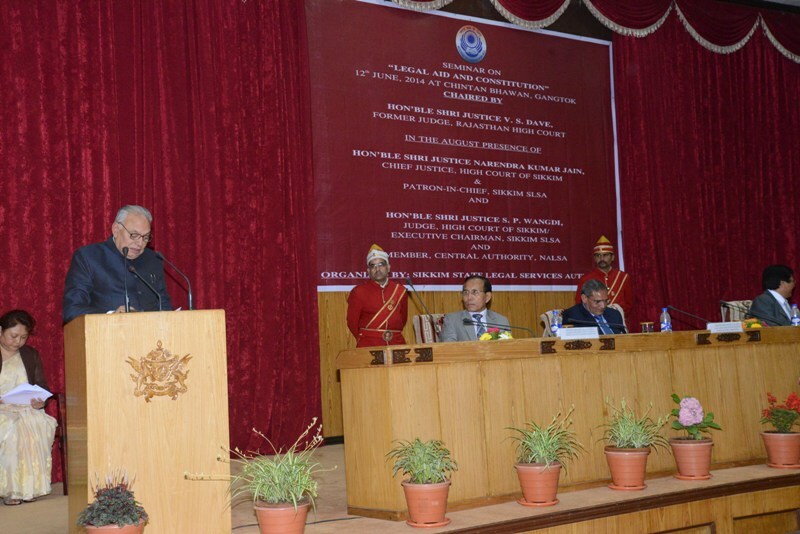 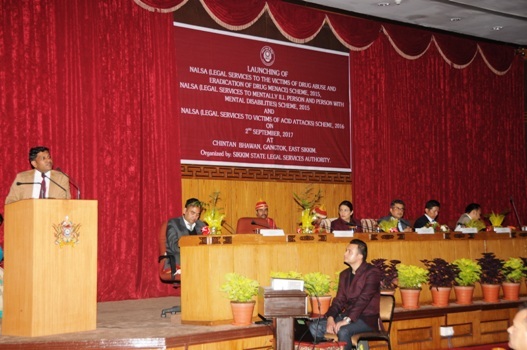 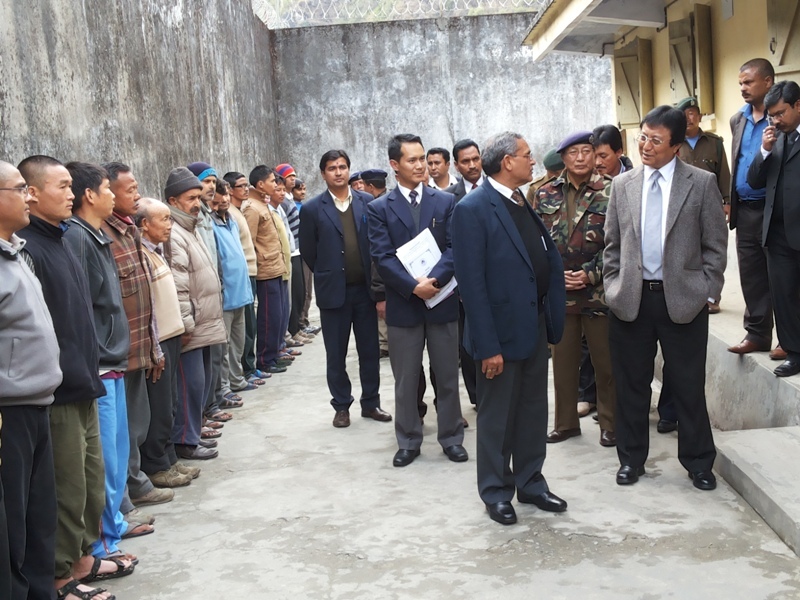 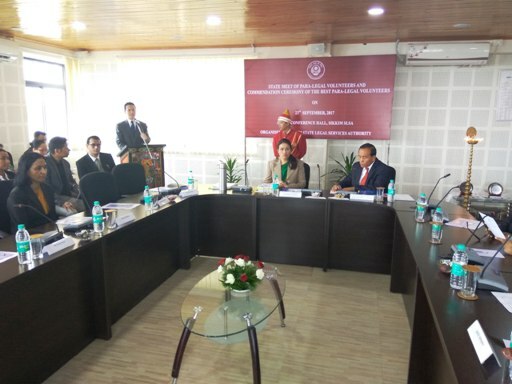 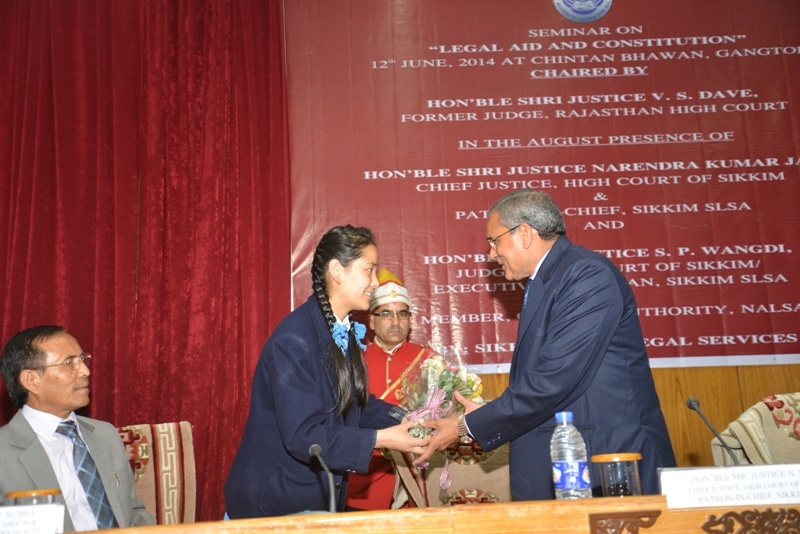 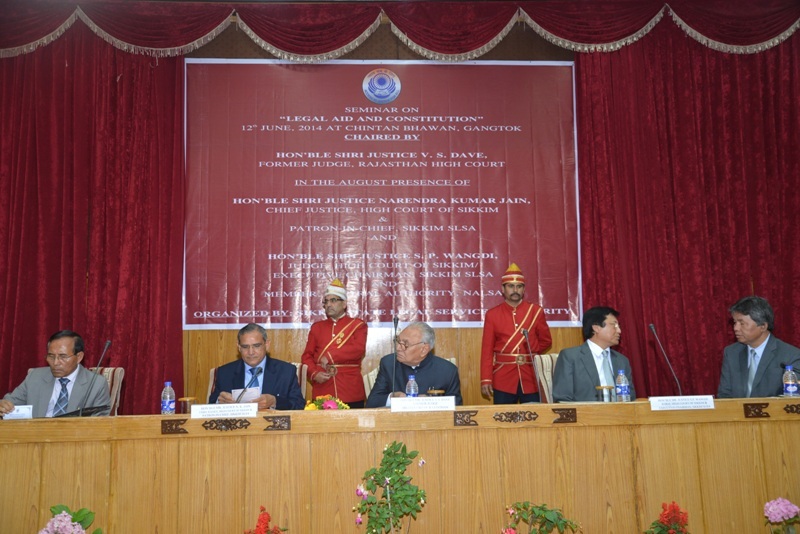 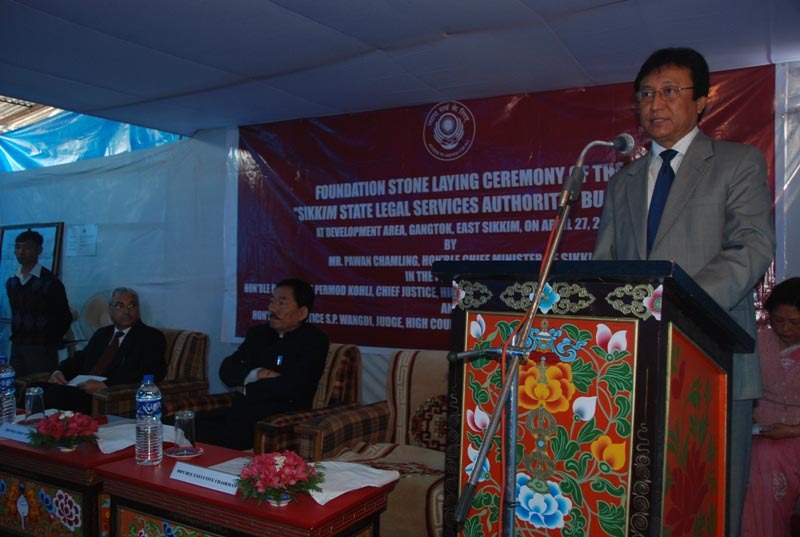 Sensitization Programme on Lok Adalat, Cognizance of cases by Lok Adalat and Procedure thereof for Judicial Officers and Members of the Bar on 12th August, 2017 at Sikkim SLSA. 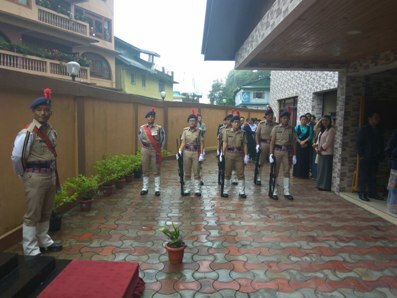 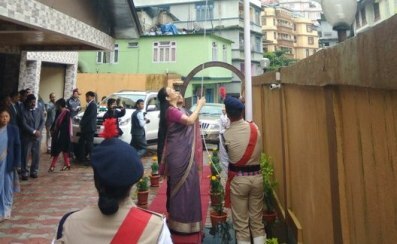 Celabration of Independence Day on 15th August, 2017 at Sikkim SLSA. 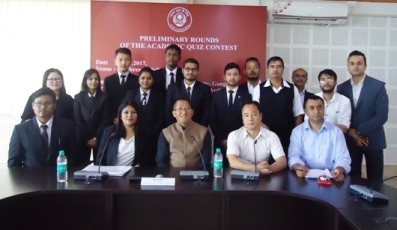 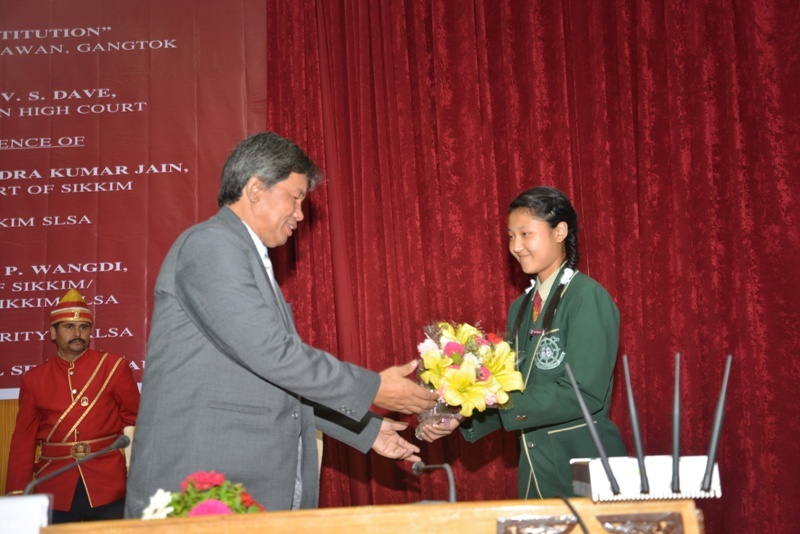 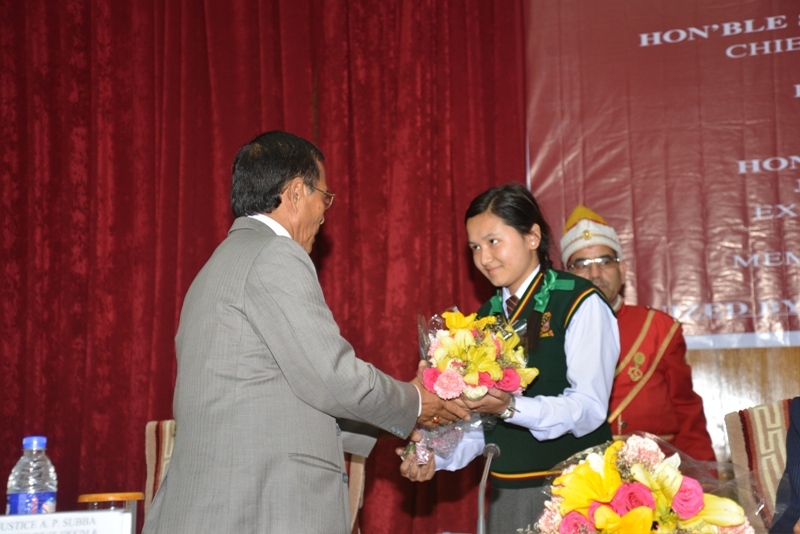 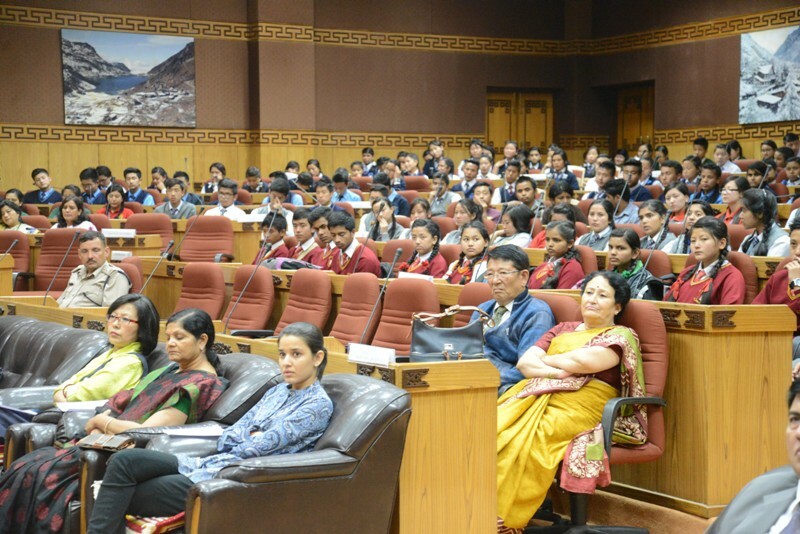 Final Rounds of the Academic Quiz Contest held on 19th August, 2017 at Auditorium, High Court of Sikkim. 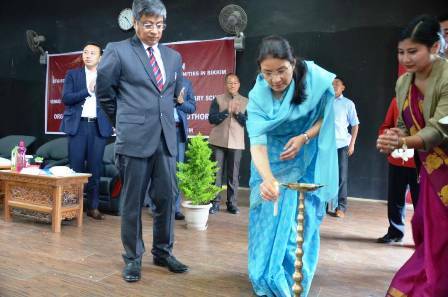 Launching of NALSA's Schemes on 2nd September 2017 at Chintan Bhawan, East Sikkim.